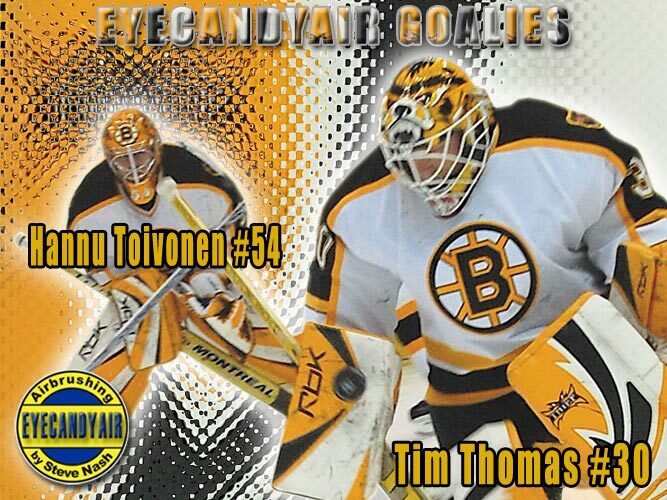 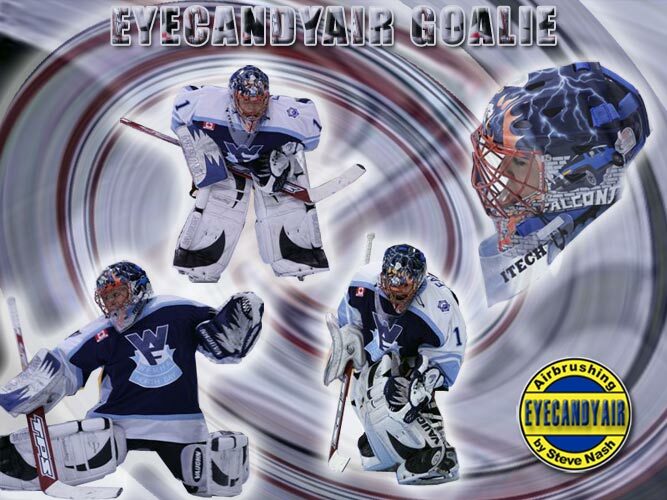 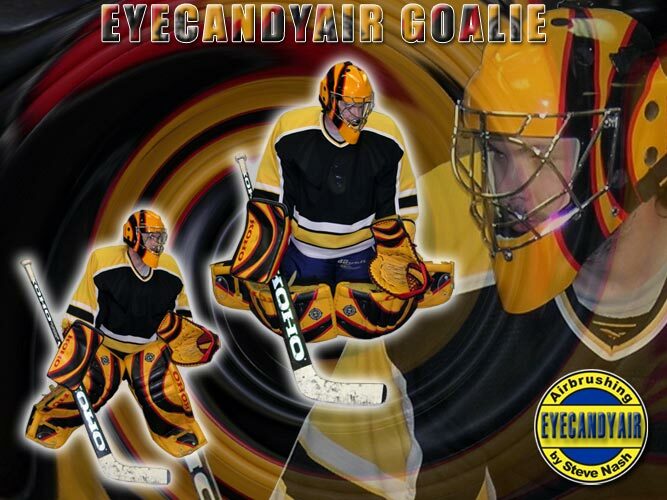 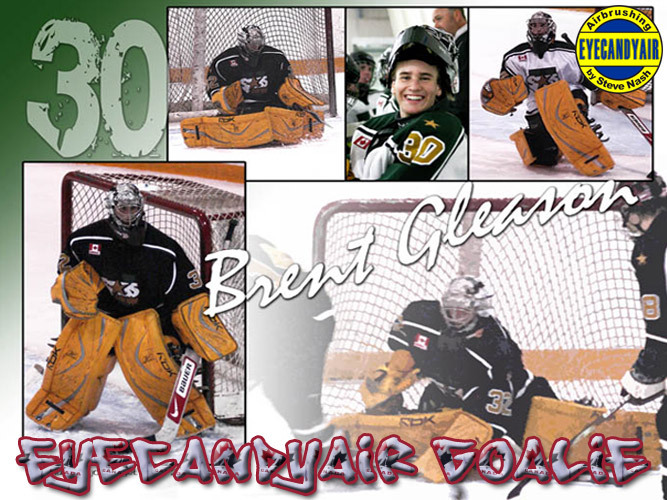 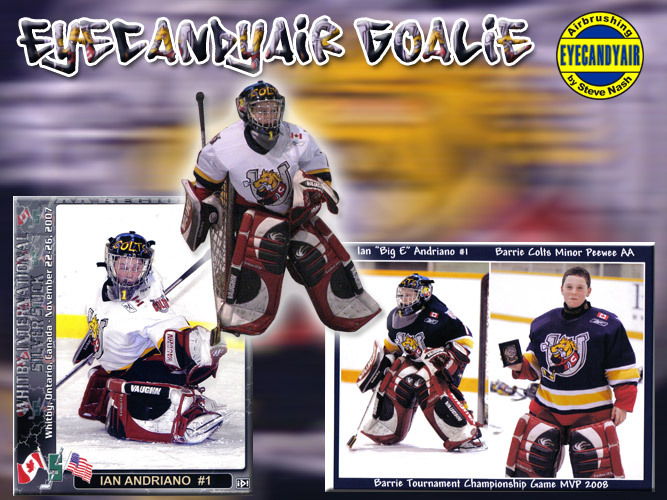 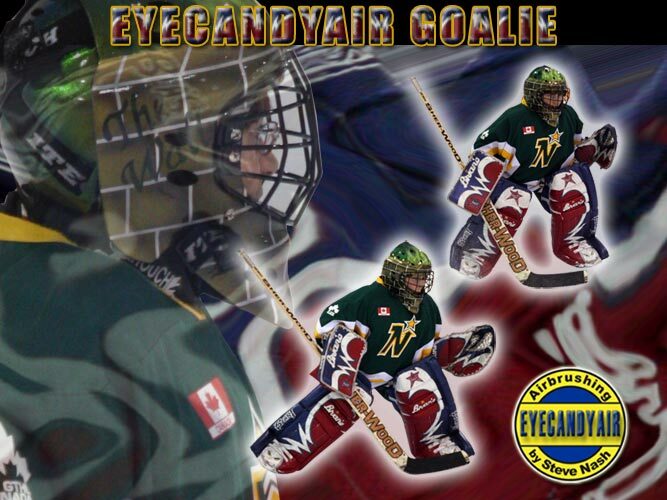 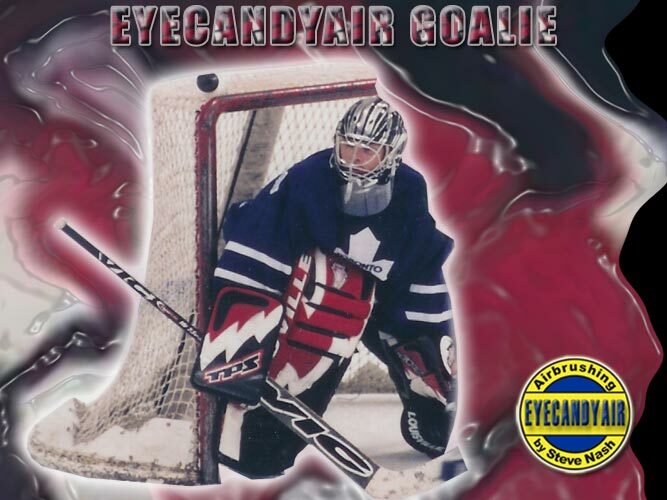 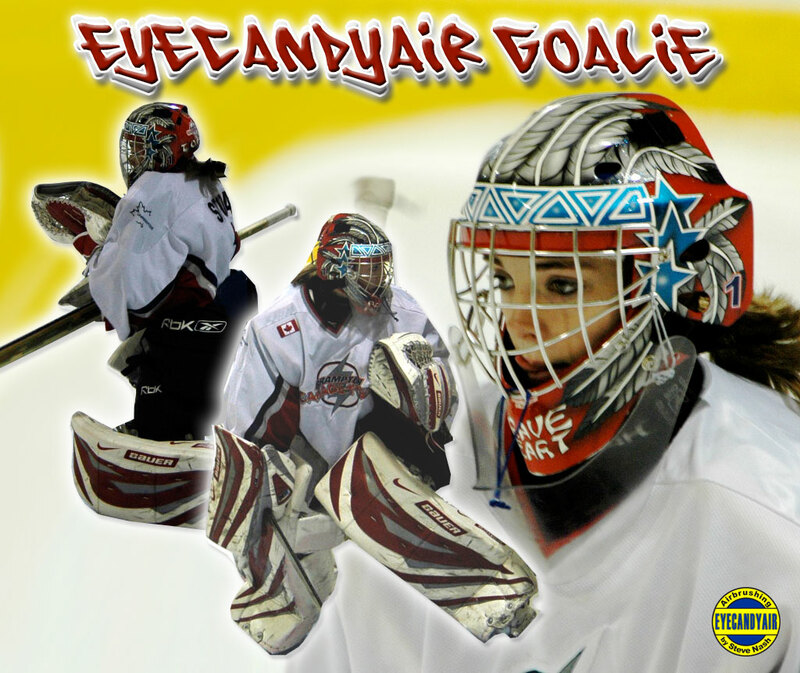 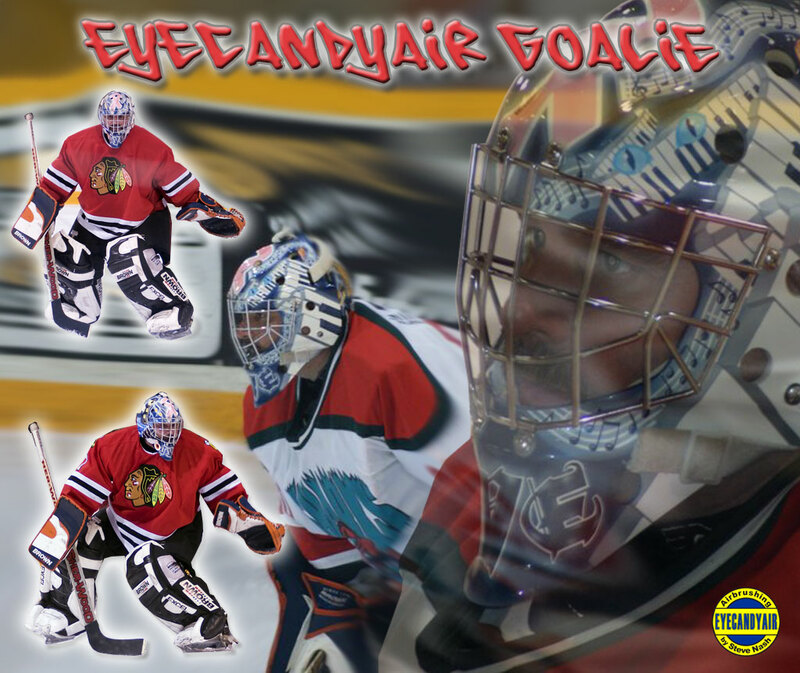 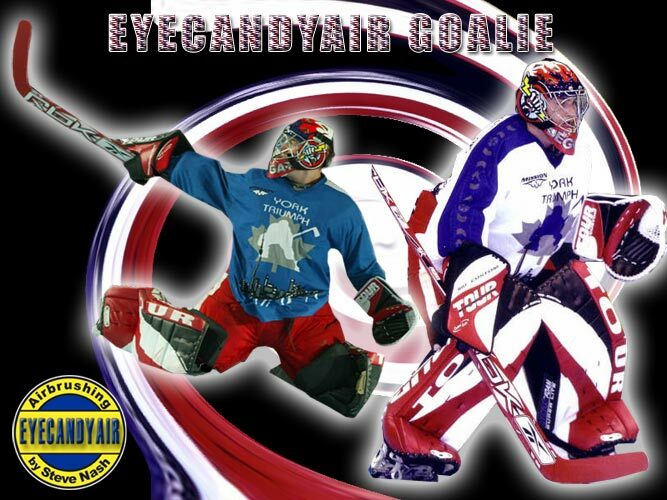 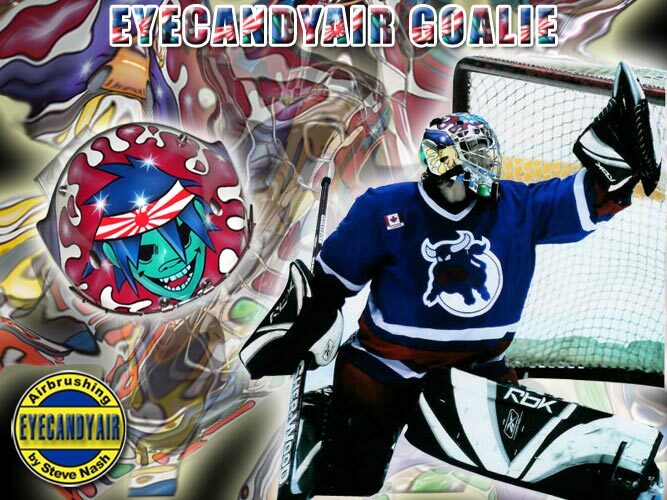 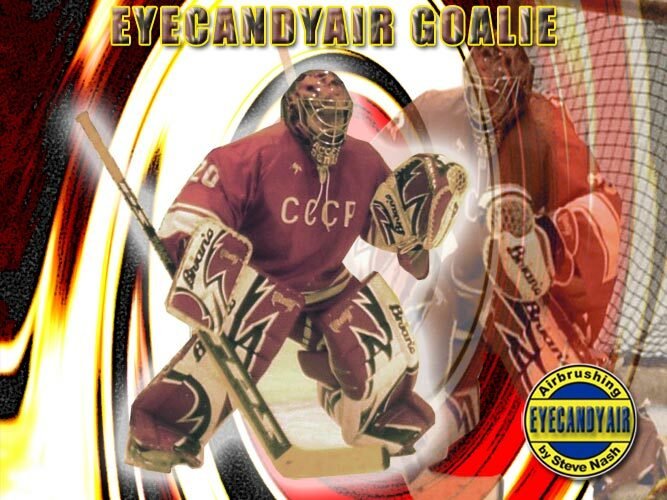 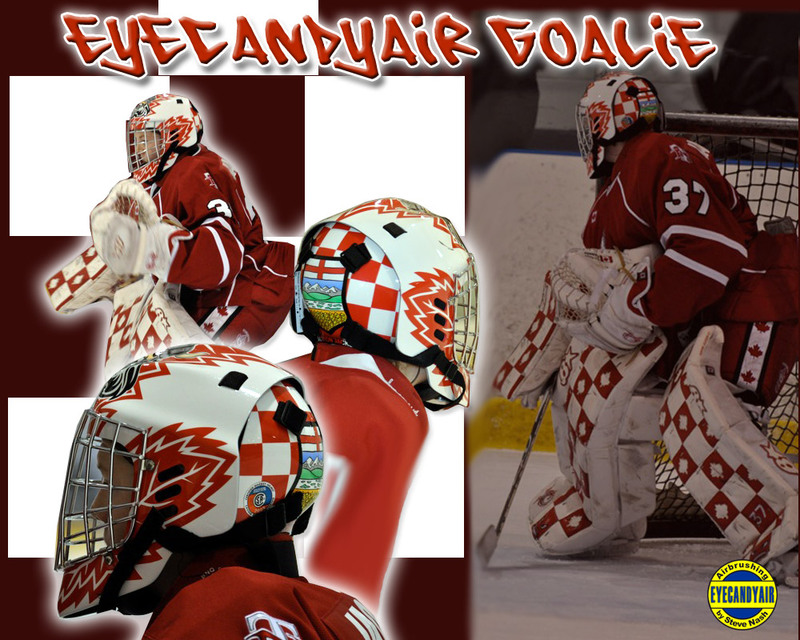 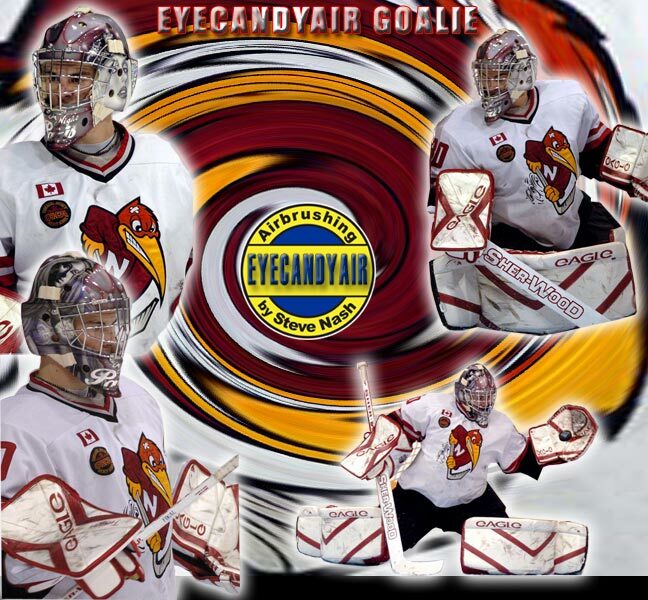 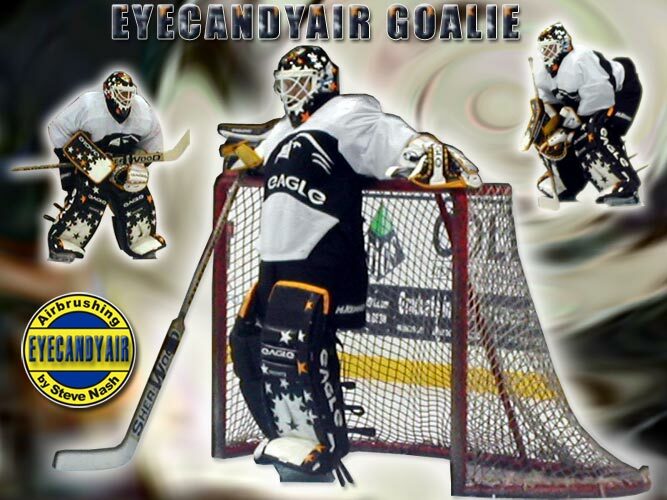 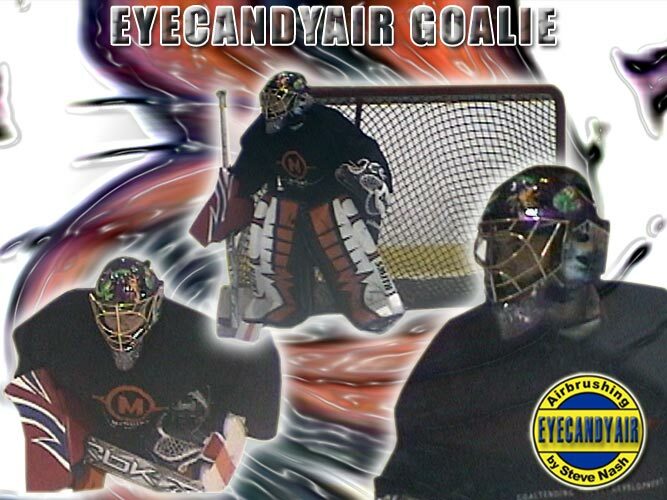 At EYECANDYAIR we are proud of our goalie family, so it's only natural that we want to show you off in every way possible. 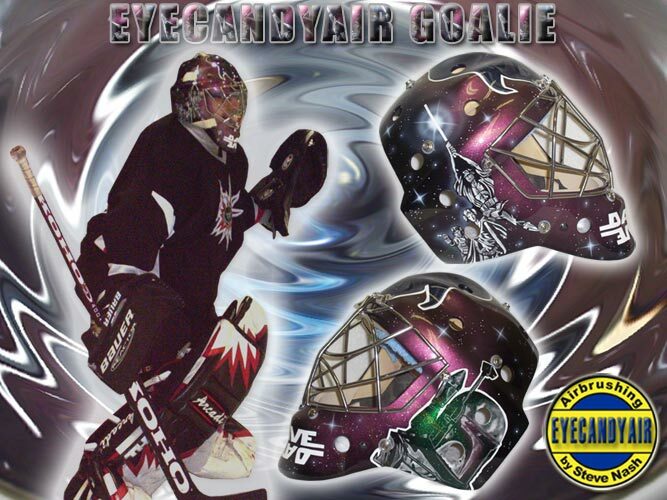 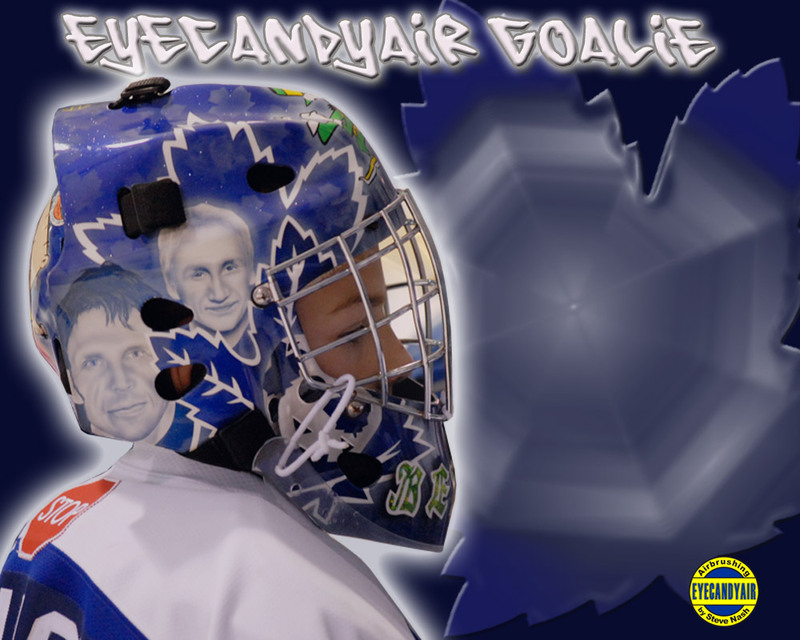 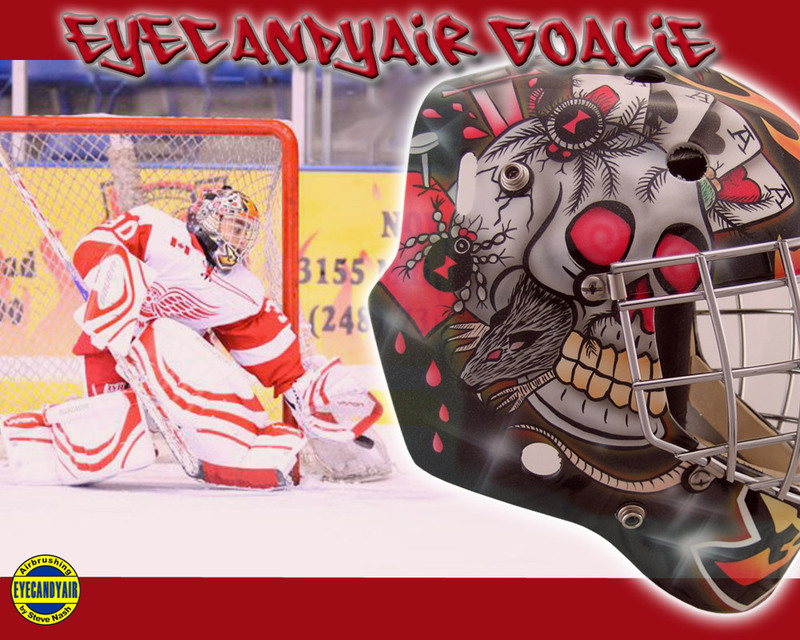 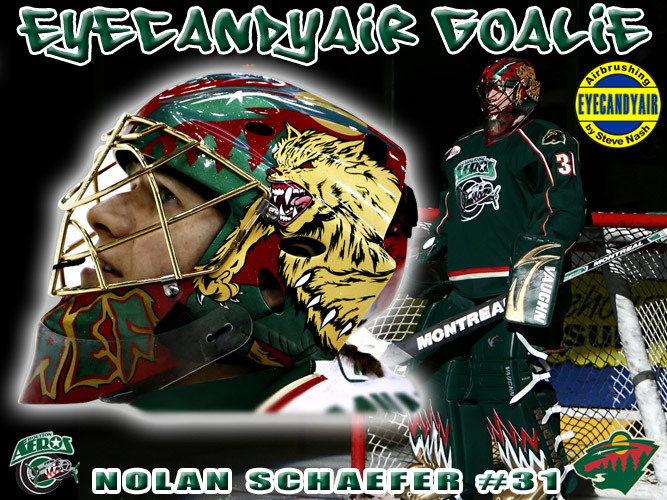 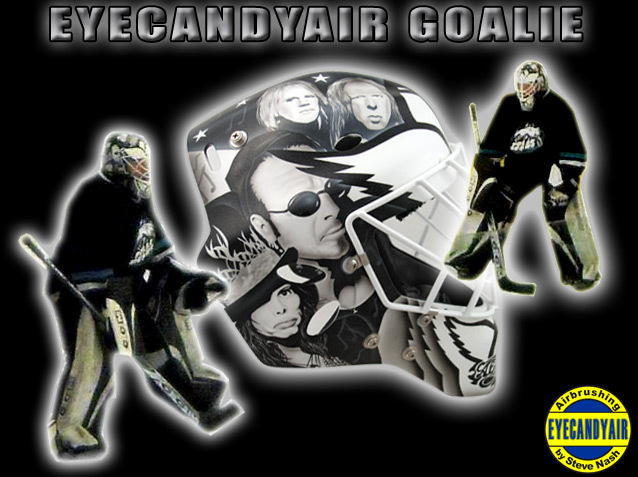 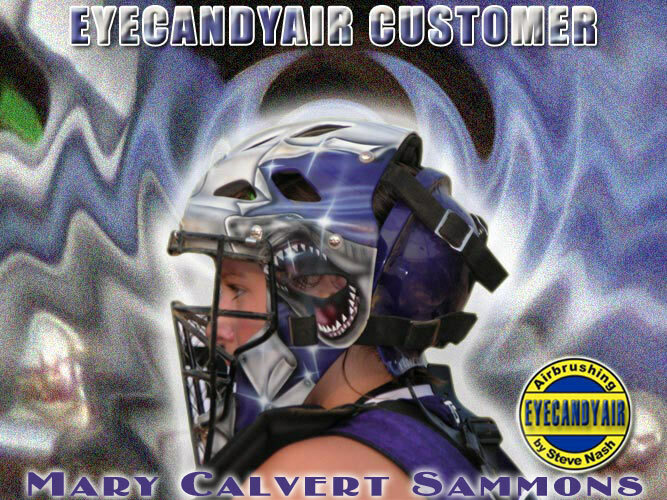 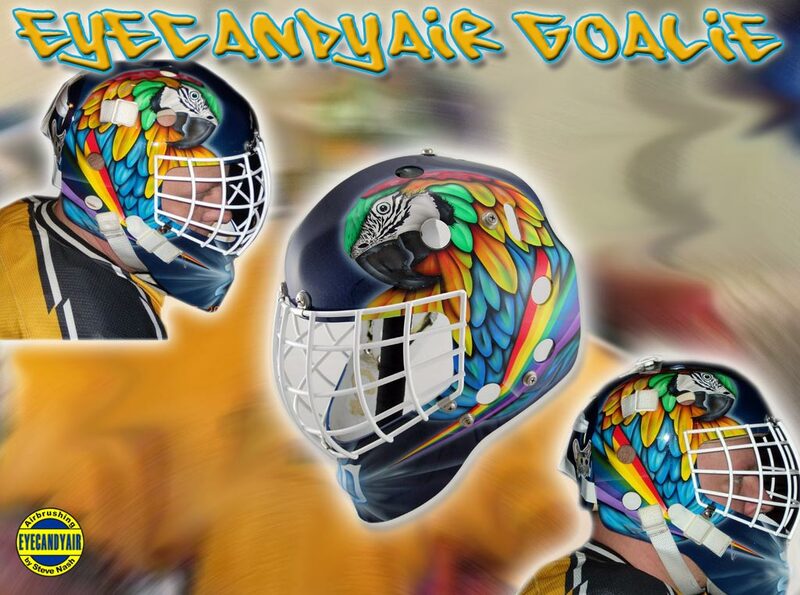 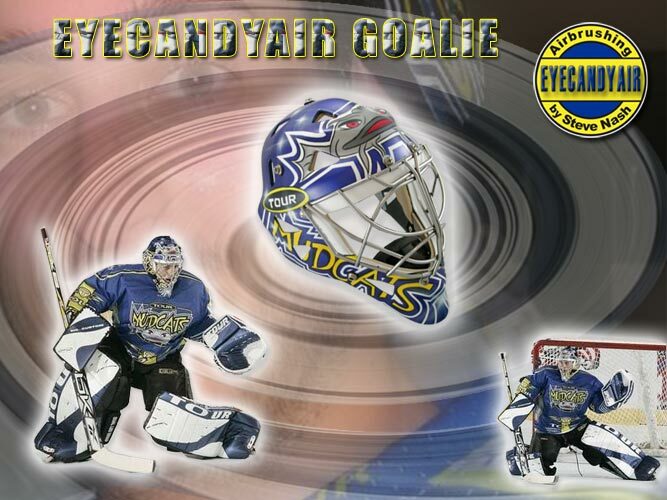 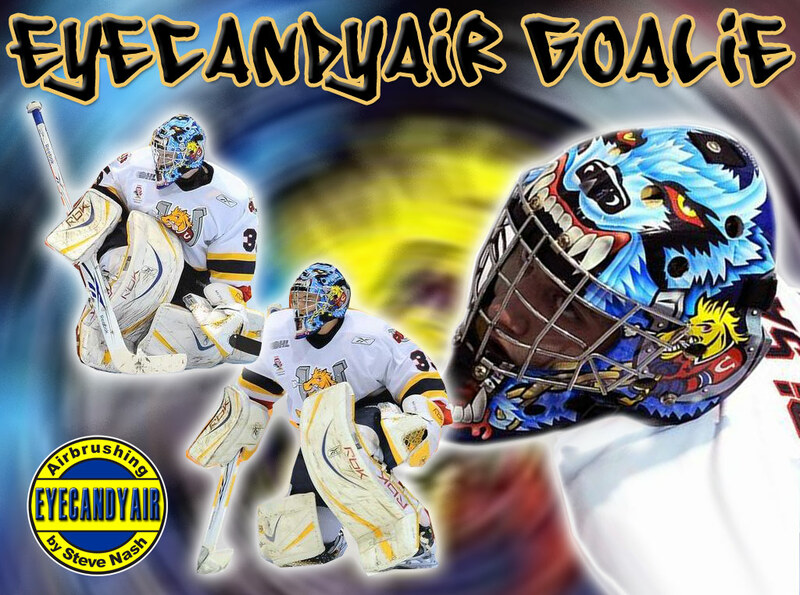 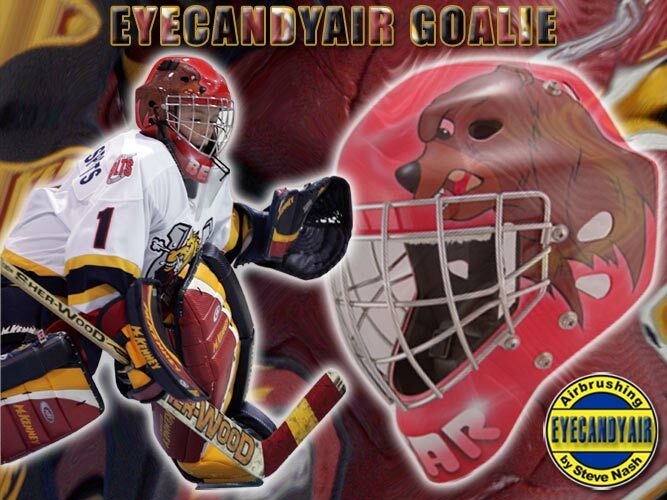 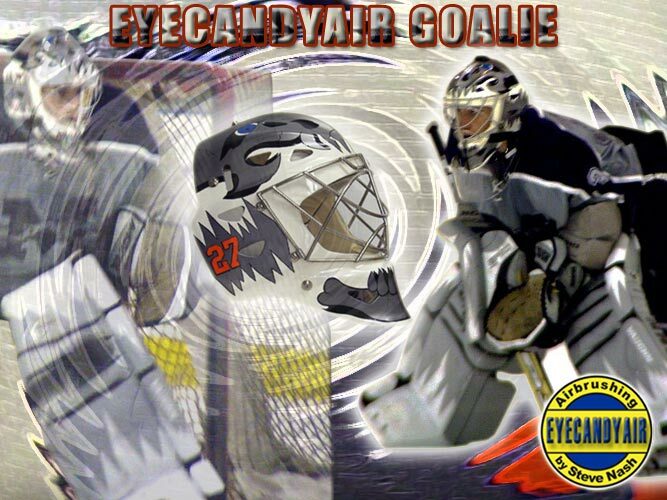 If you enjoy being in the spotlight and taking advantage of all the attention you've been getting with your new custom airbrush painted EYECANDYAIR goalie mask, then we'd love to showcase you on our website. 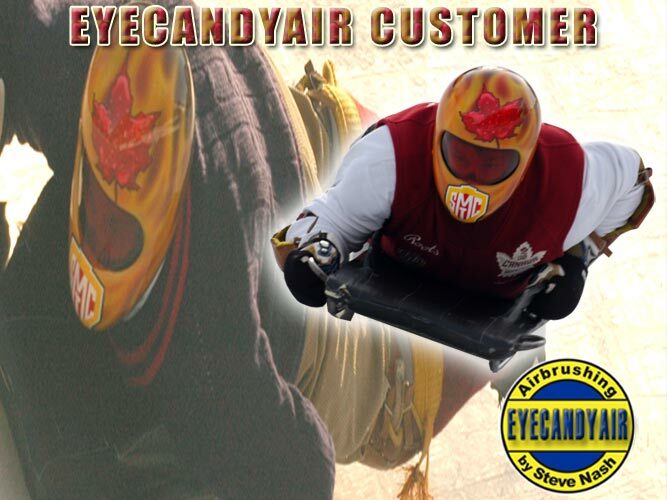 EYECANDYAIR goes behind the scenes and does one-on-one interviews and profiles with selected members of the EYECANDYAIR family. 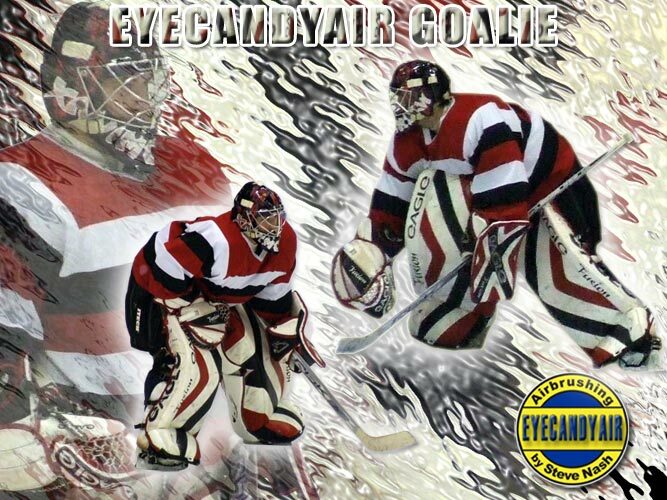 Covering topics such as game day superstitions, current gear setup, goaltending style and much more, it makes for some interesting reading so check it out! 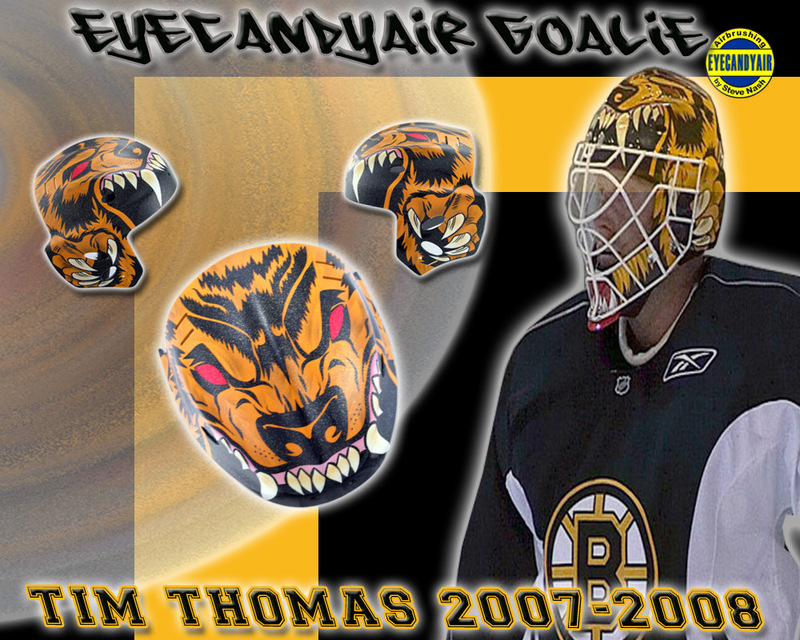 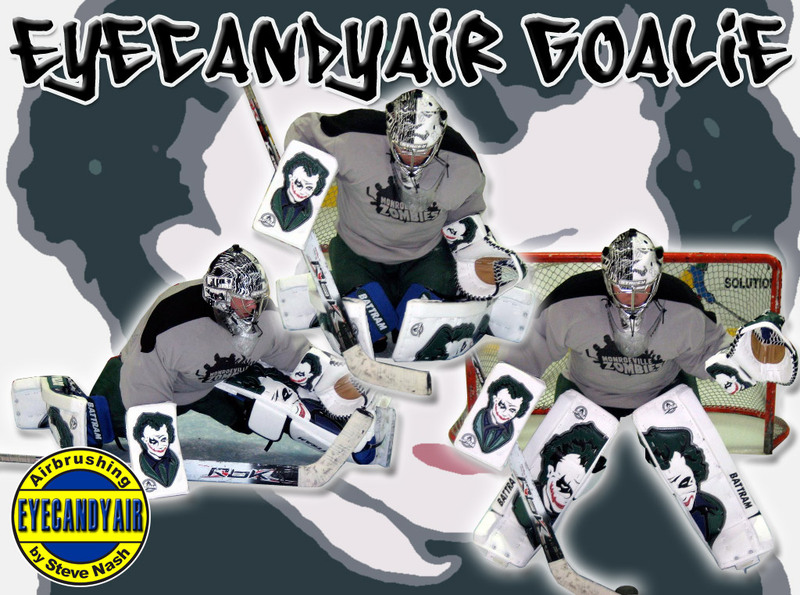 EYECANDYAIR goalies share their thoughts and feedback about their custom painted goalie masks and experiences dealing with EYECANDYAIR and the whole painting process. 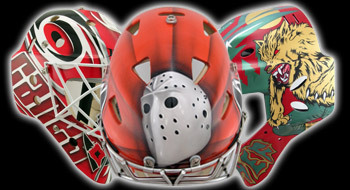 Steve is very passionate about his art so we really appreciate all your kind words and feedback! 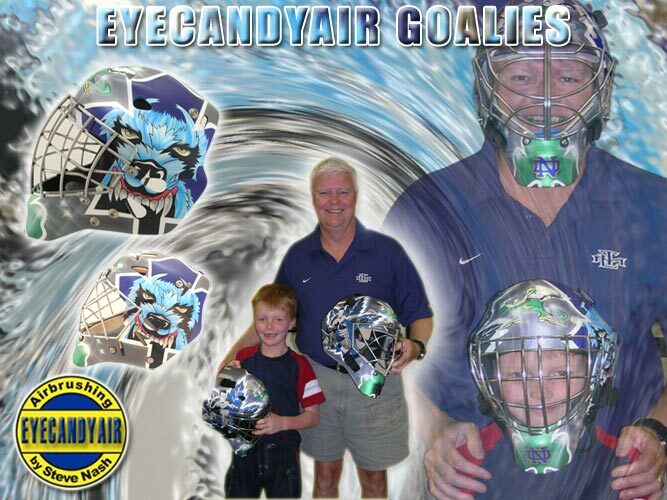 EYECANDYAIR customers in action proudly showing off their new custom airbrushed painted goalie masks. 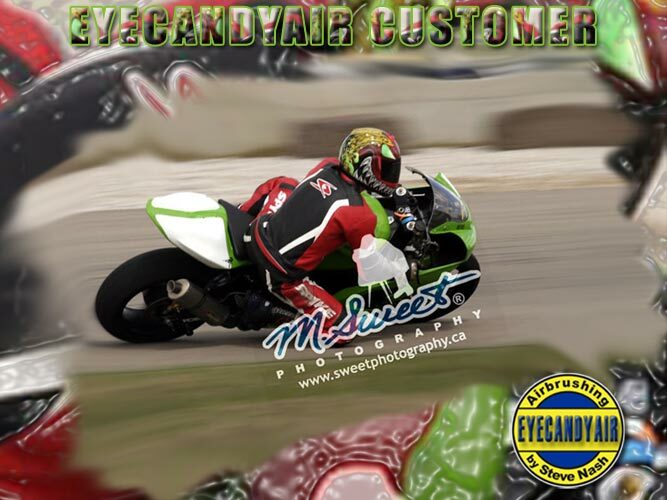 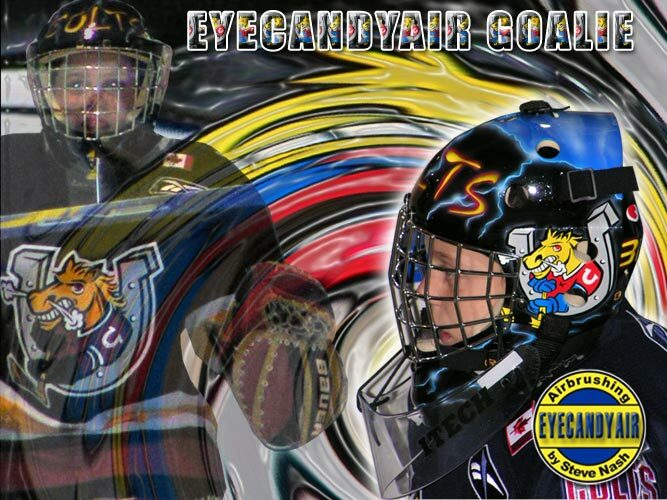 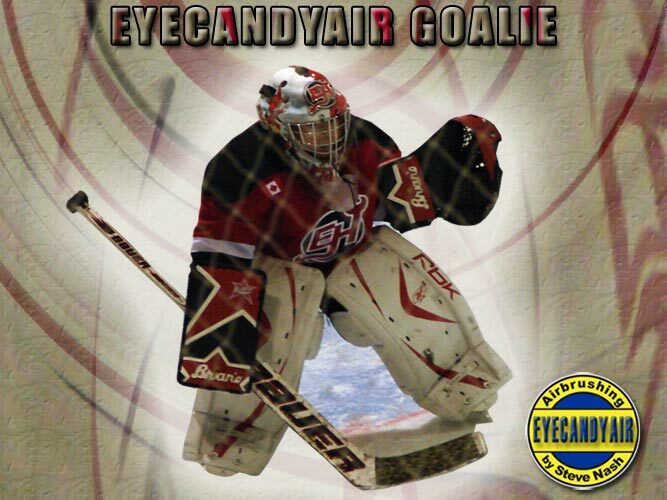 If you have an EYECANDYAIR helmet creation send us some shots of you in action so we can show you off! 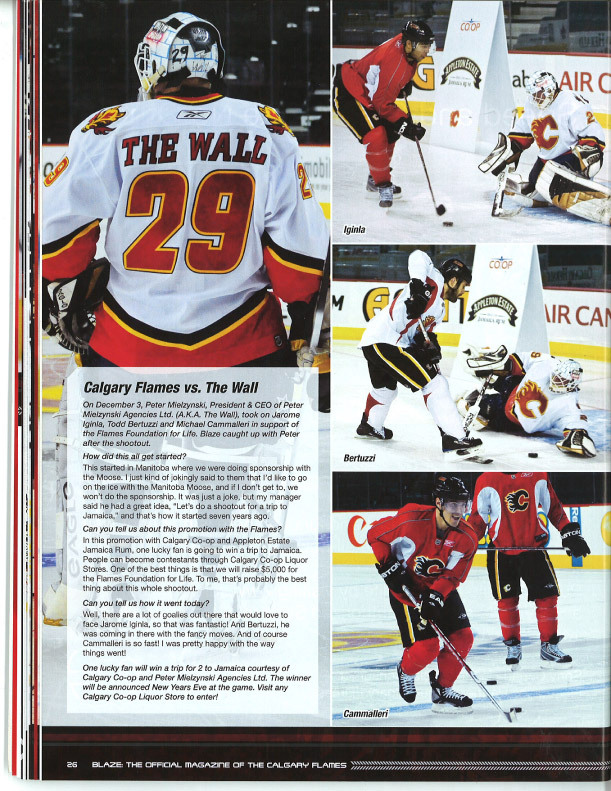 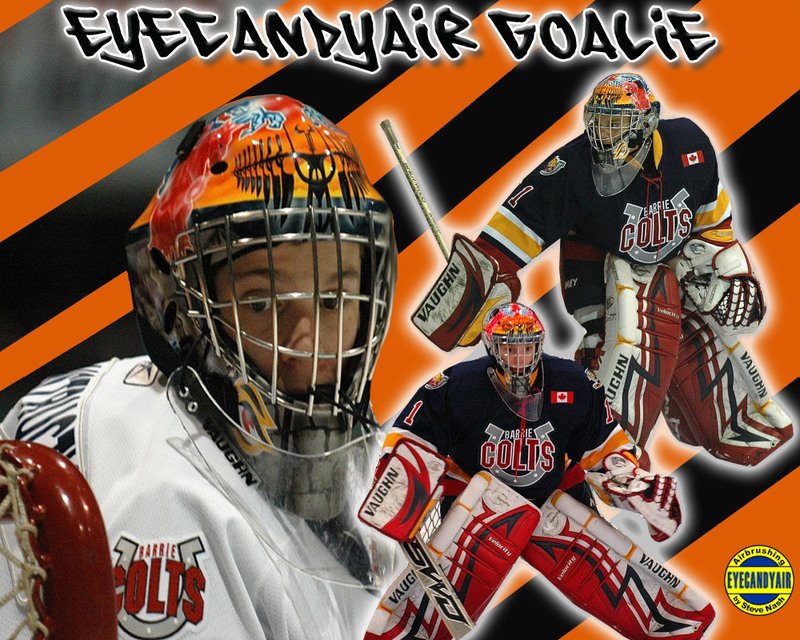 Click on the goalie images to enlarge, *NOTE* if you have your pop up blocker enabled hold down Ctrl and left click on your mouse to bypass. 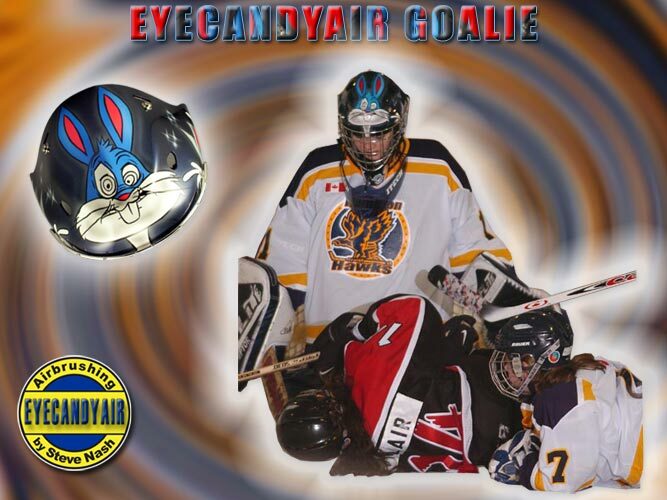 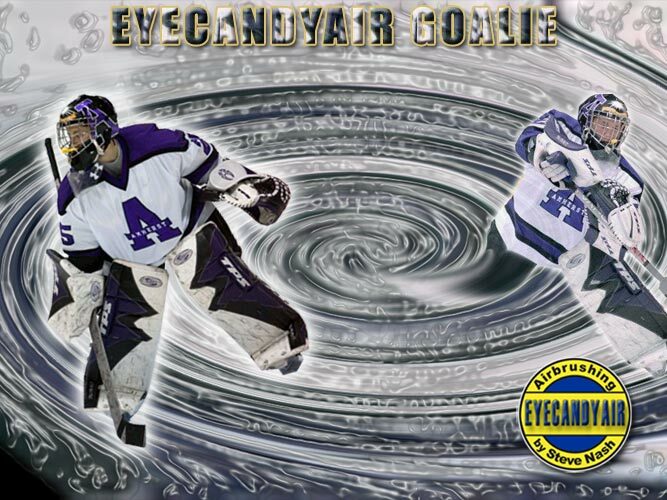 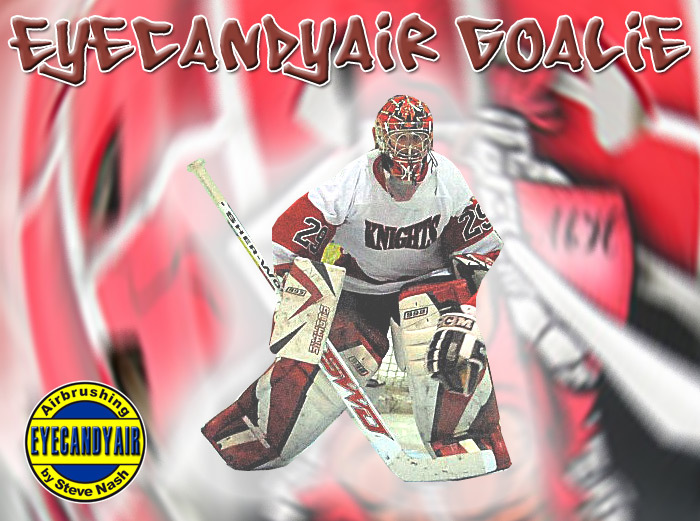 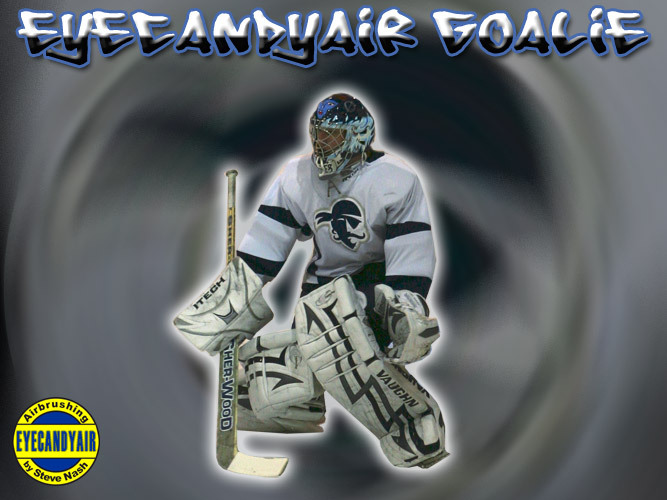 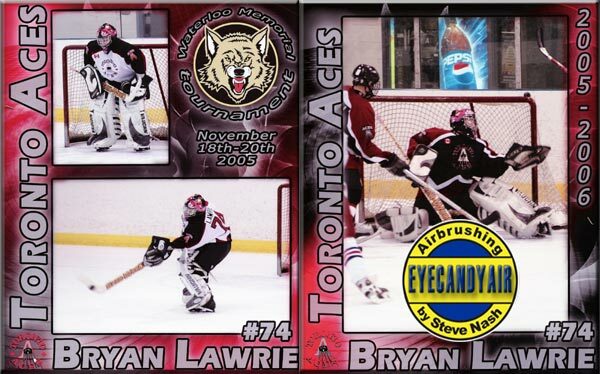 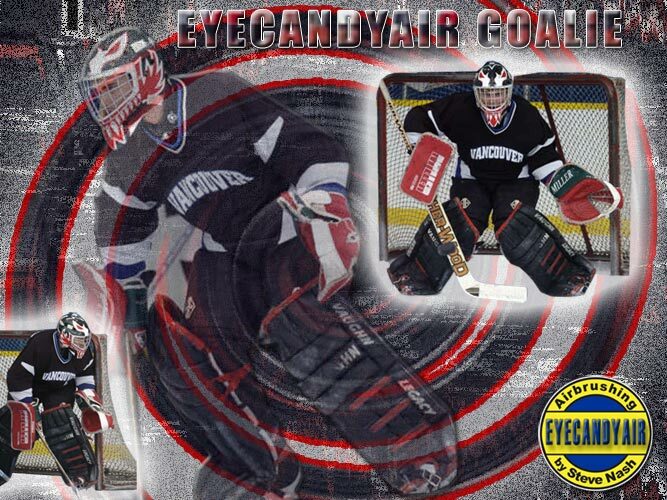 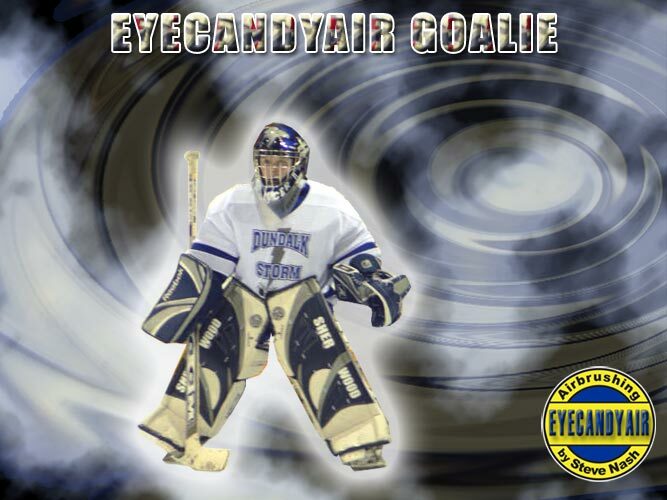 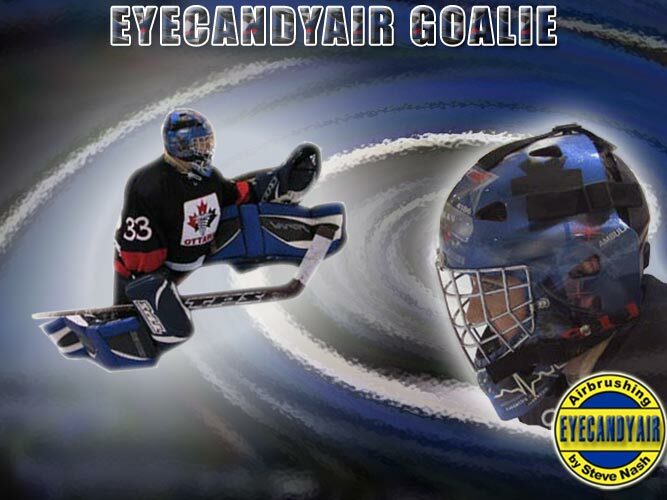 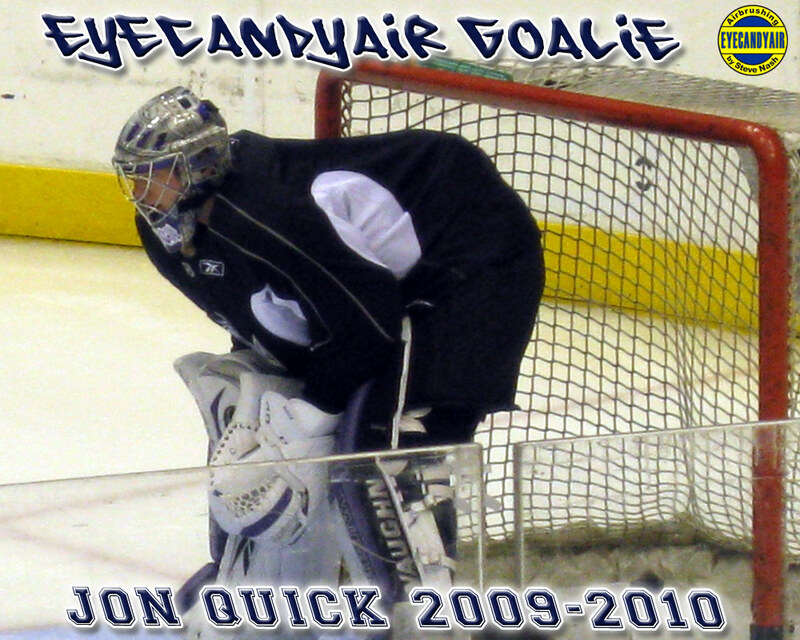 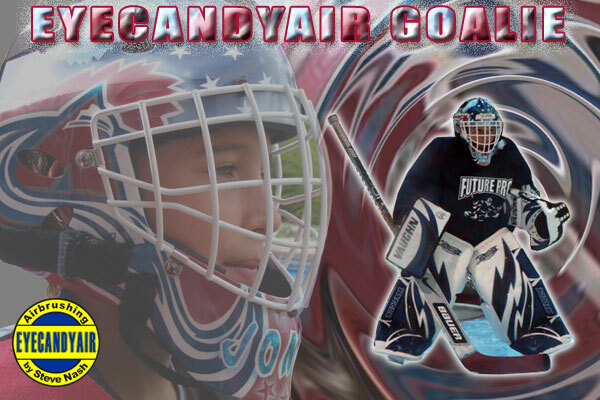 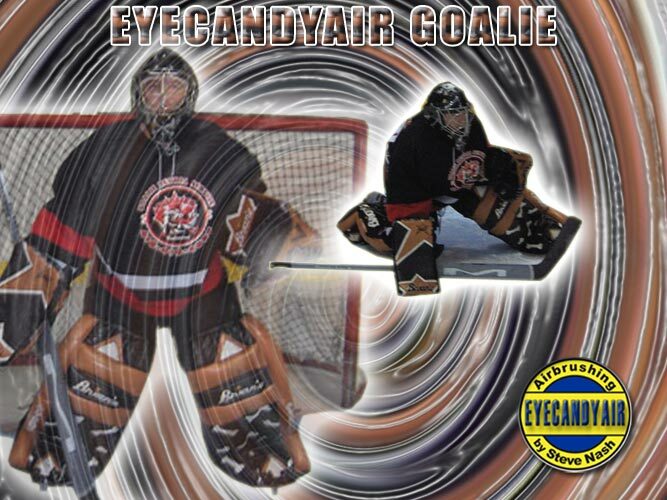 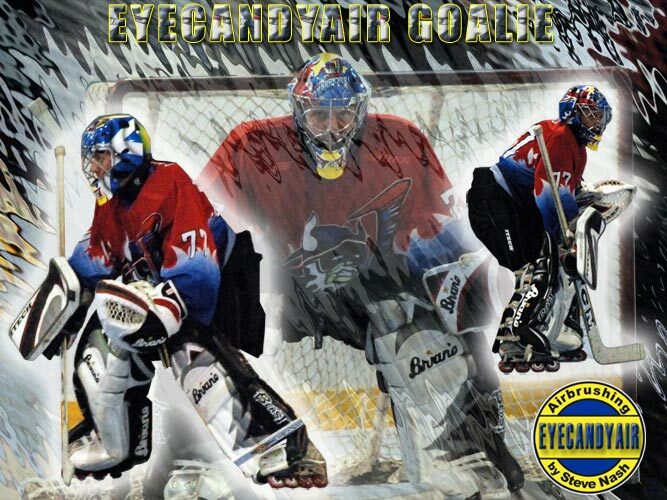 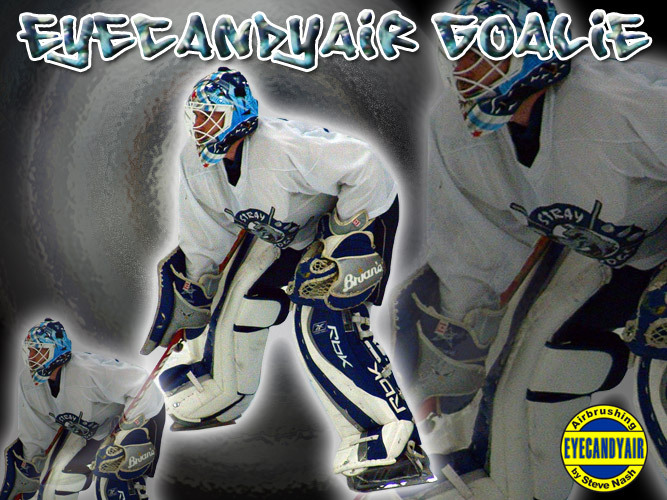 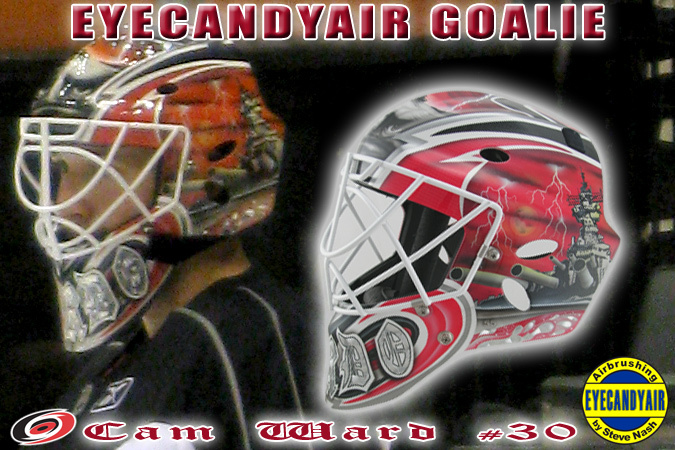 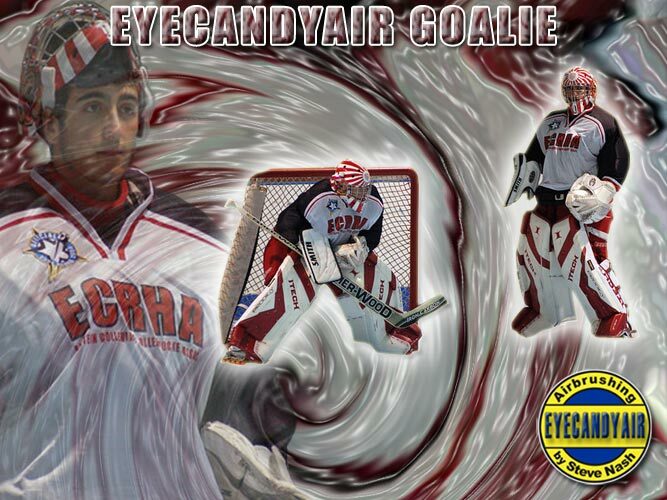 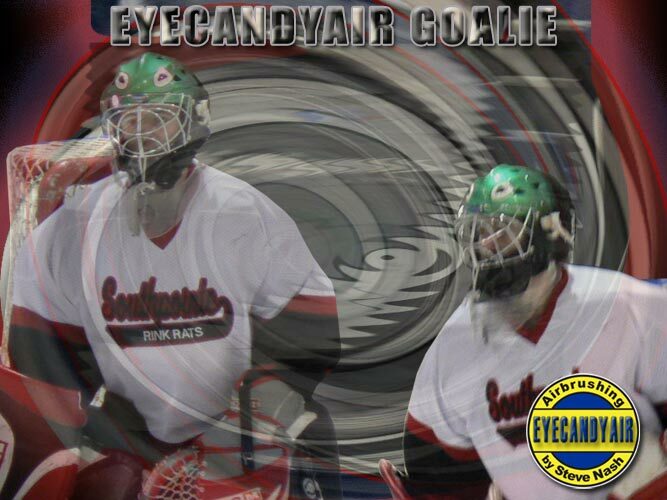 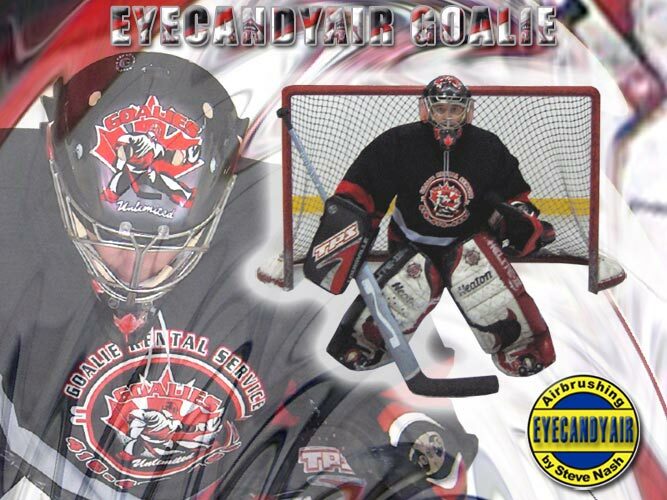 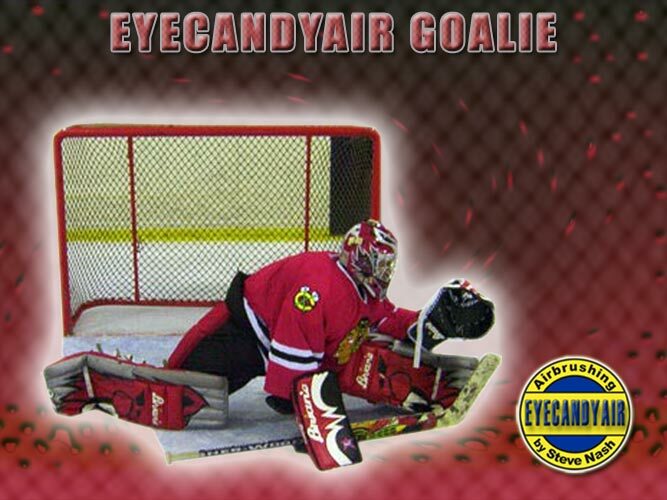 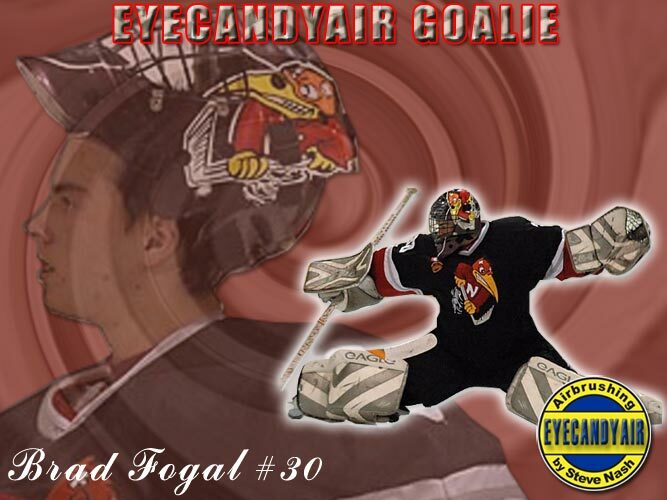 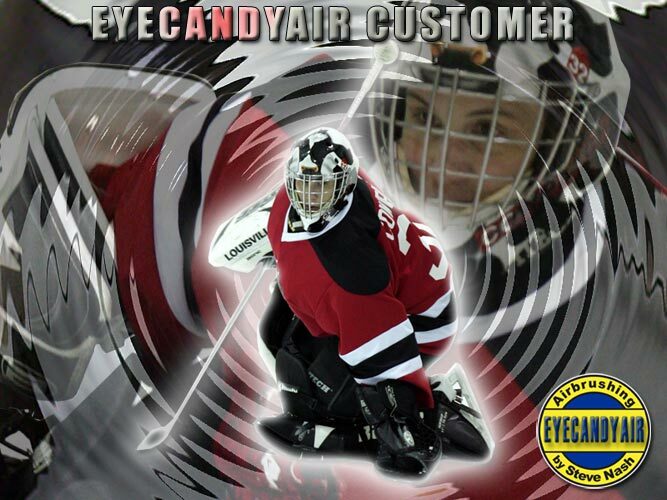 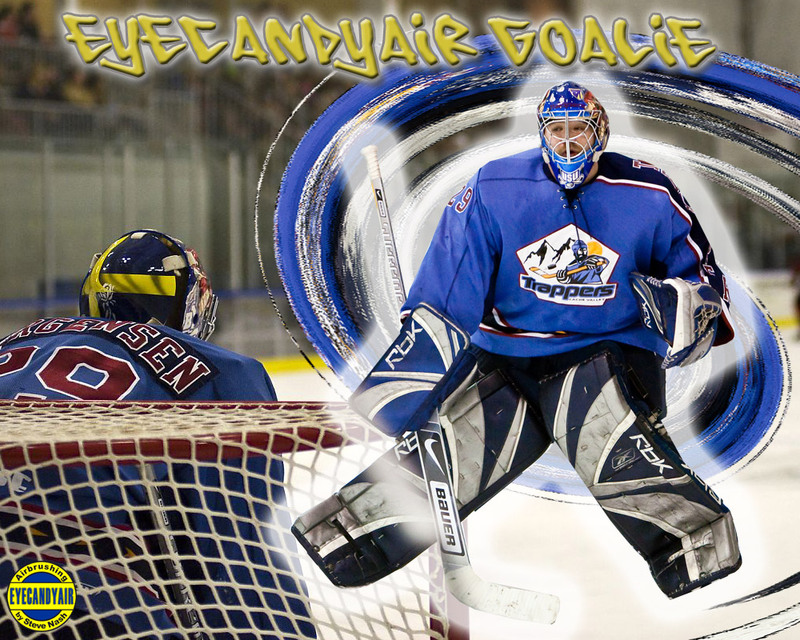 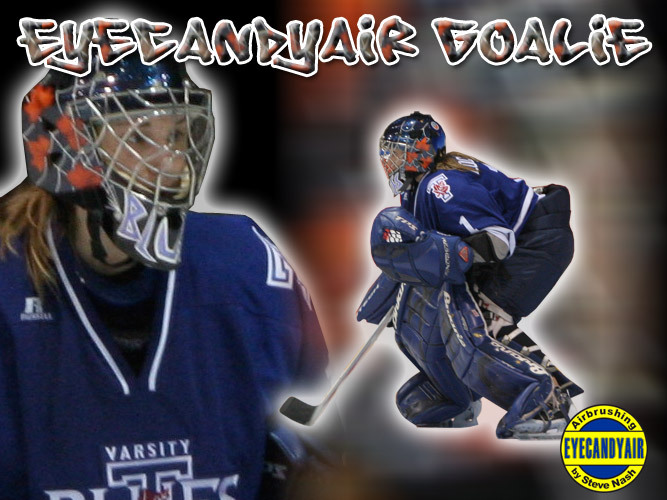 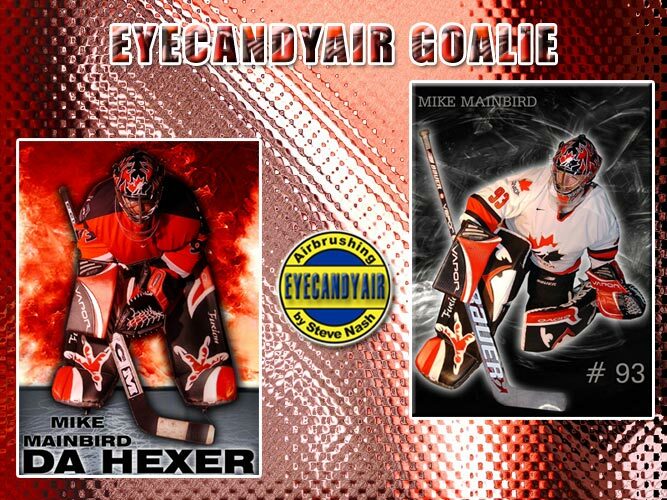 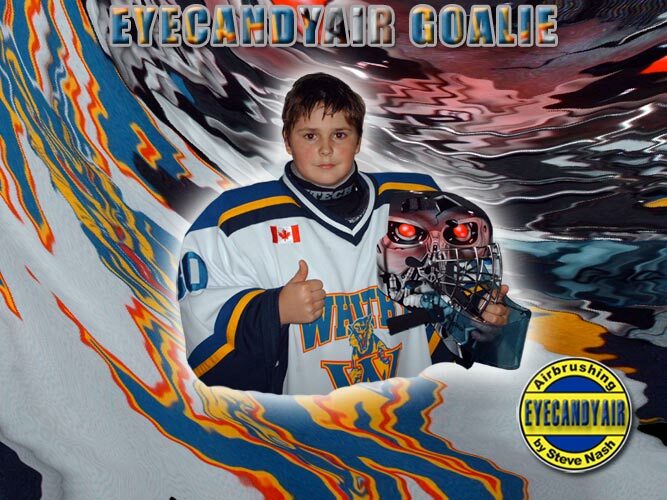 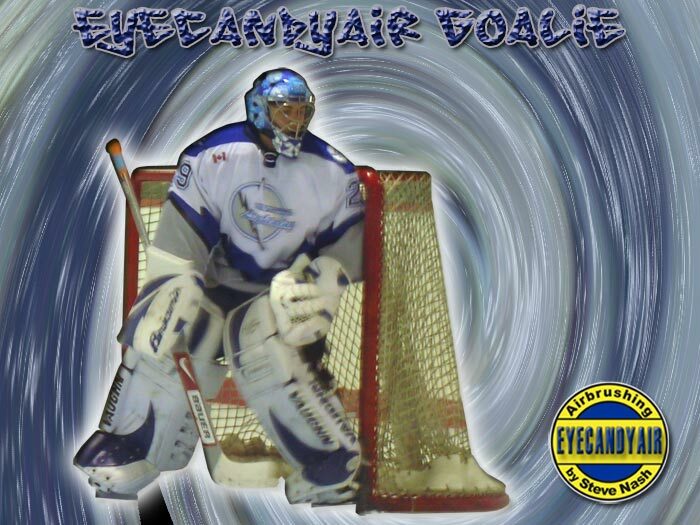 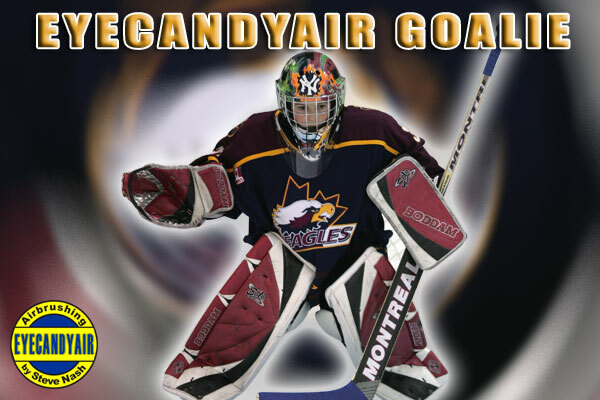 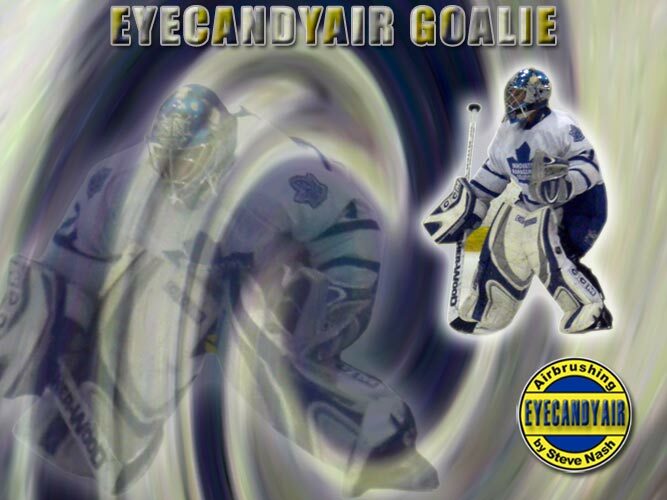 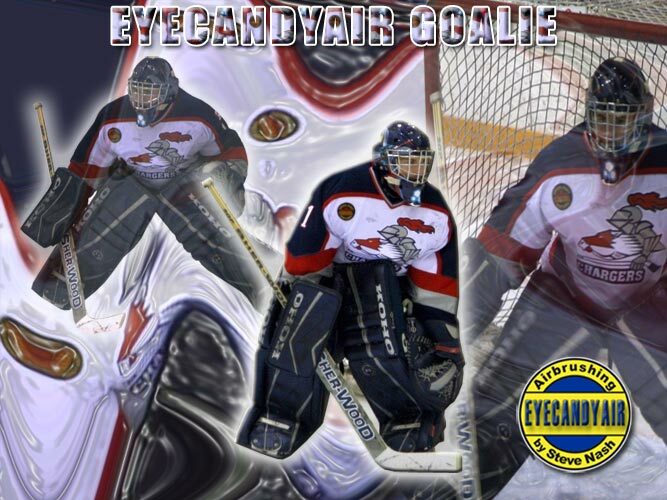 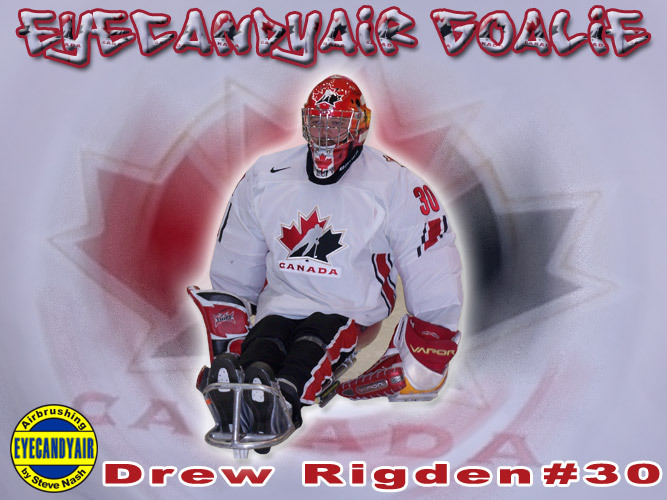 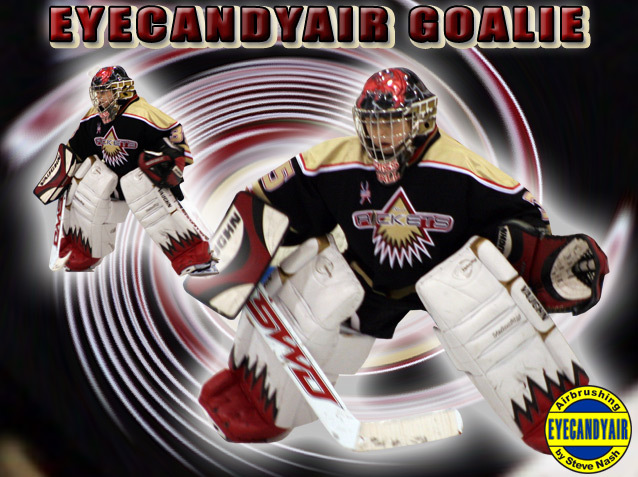 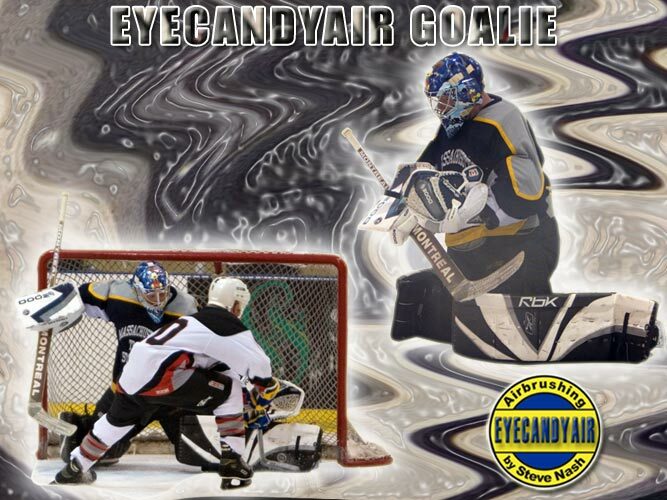 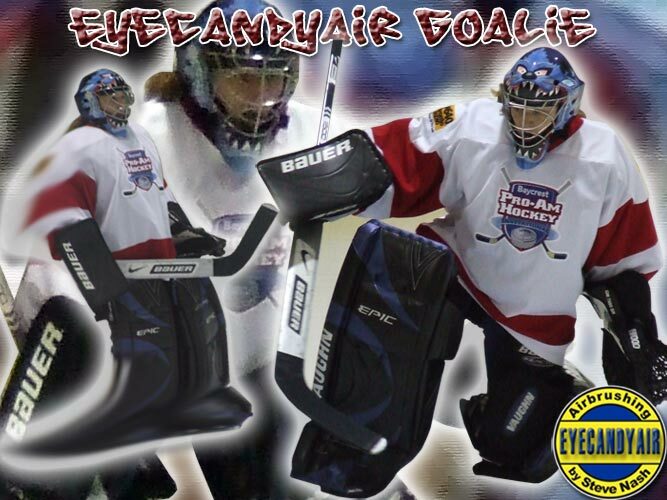 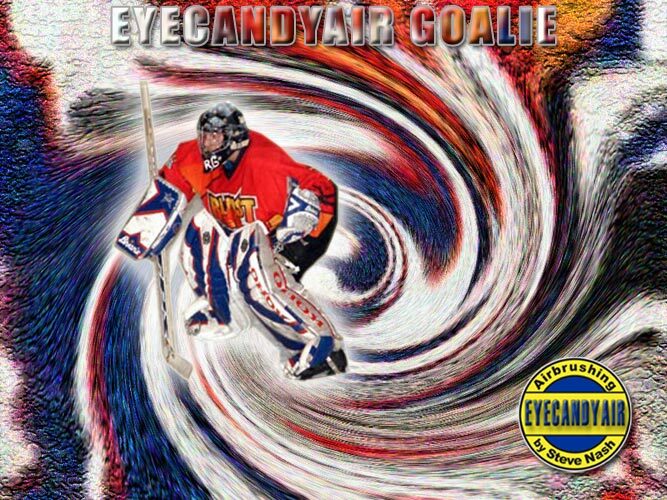 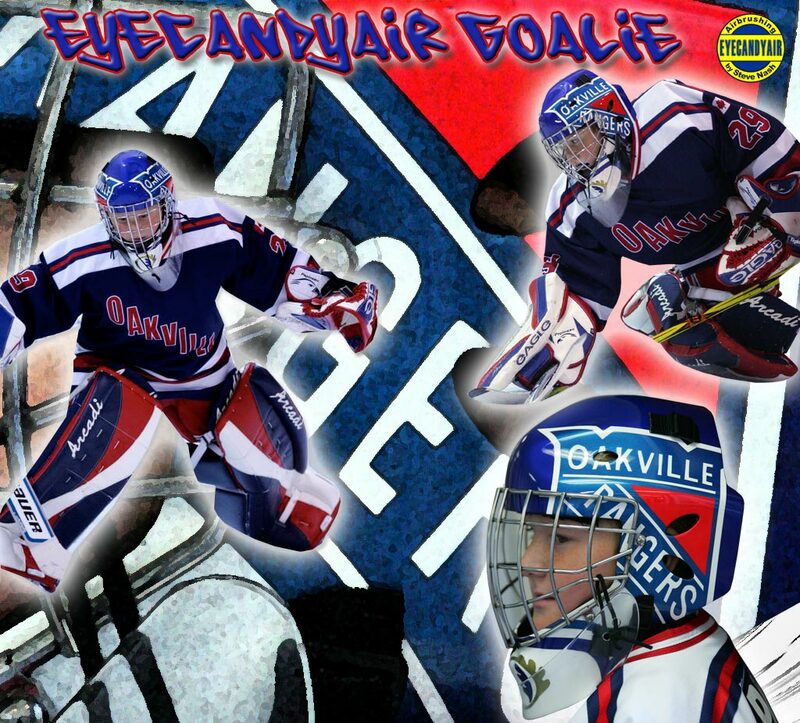 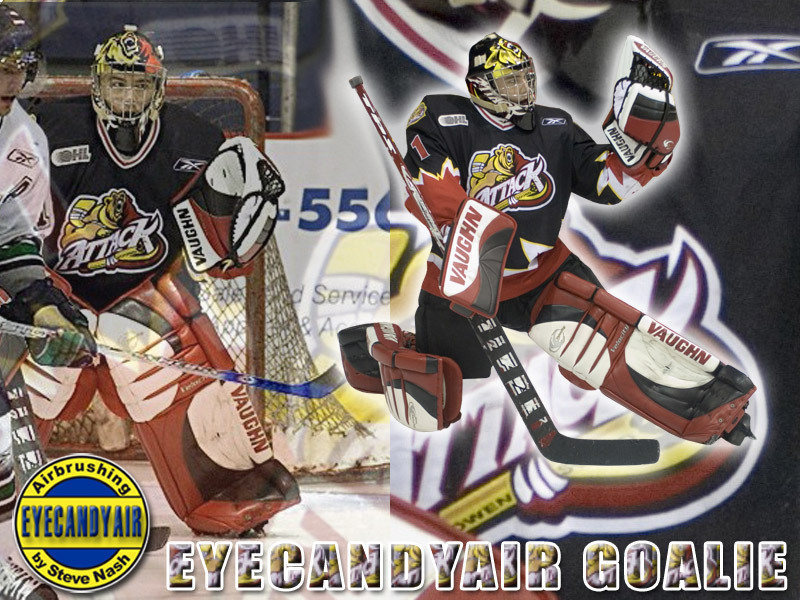 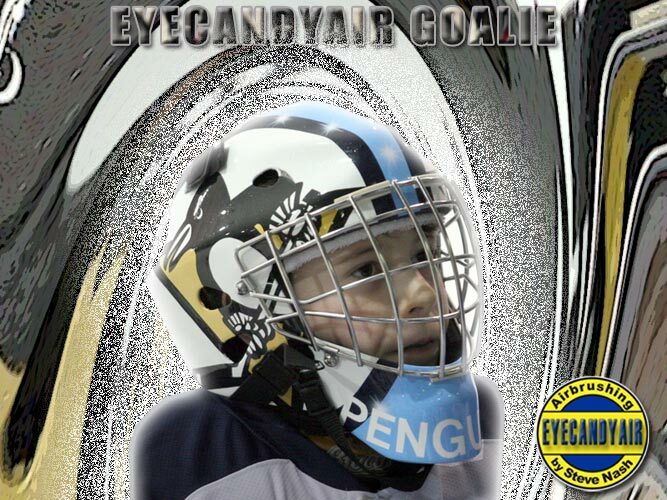 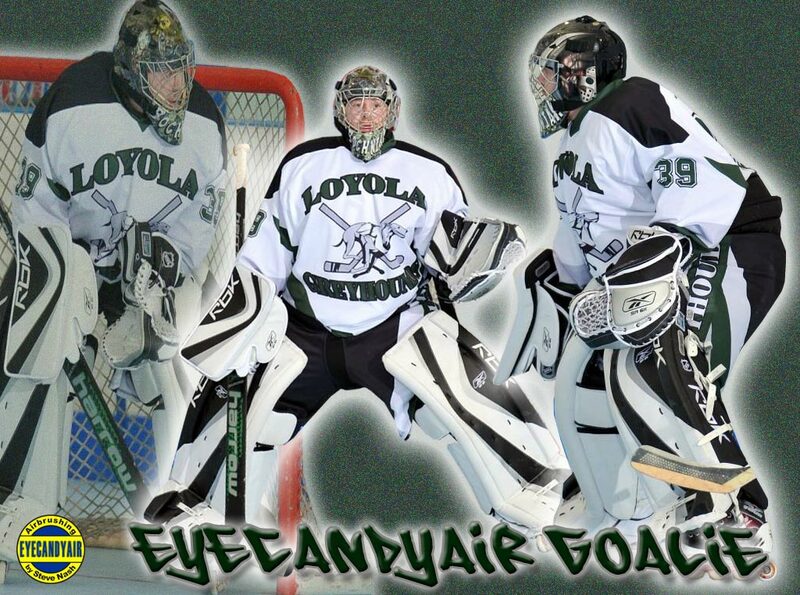 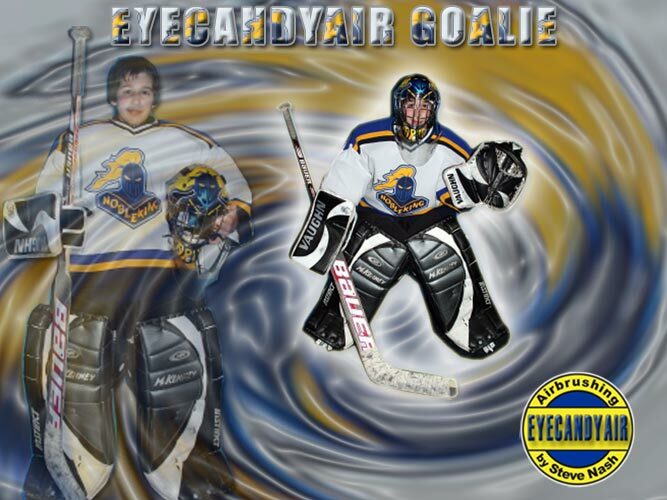 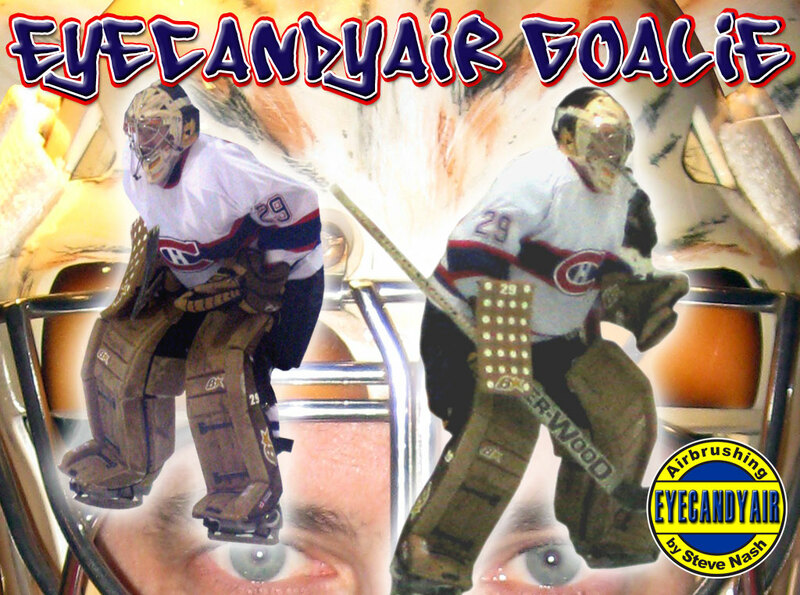 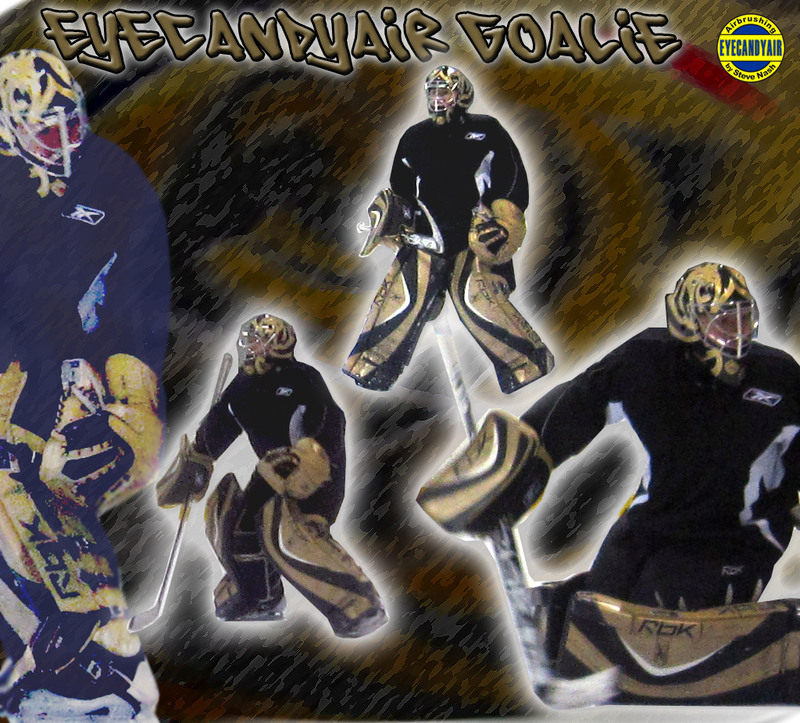 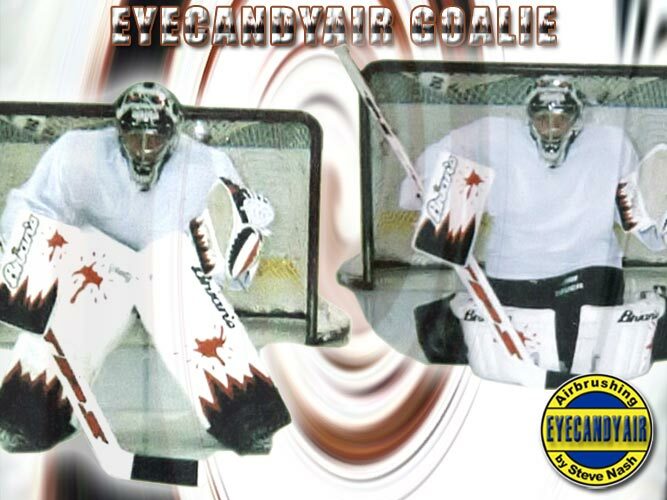 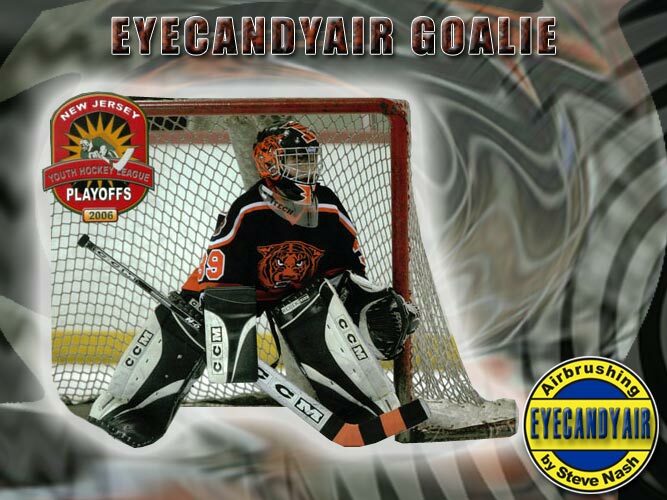 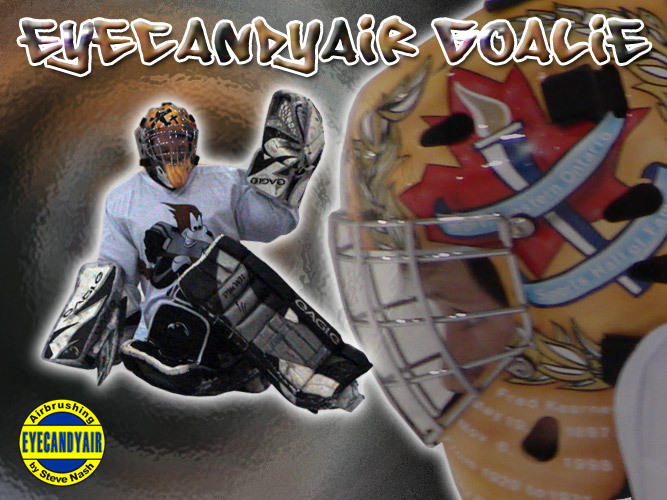 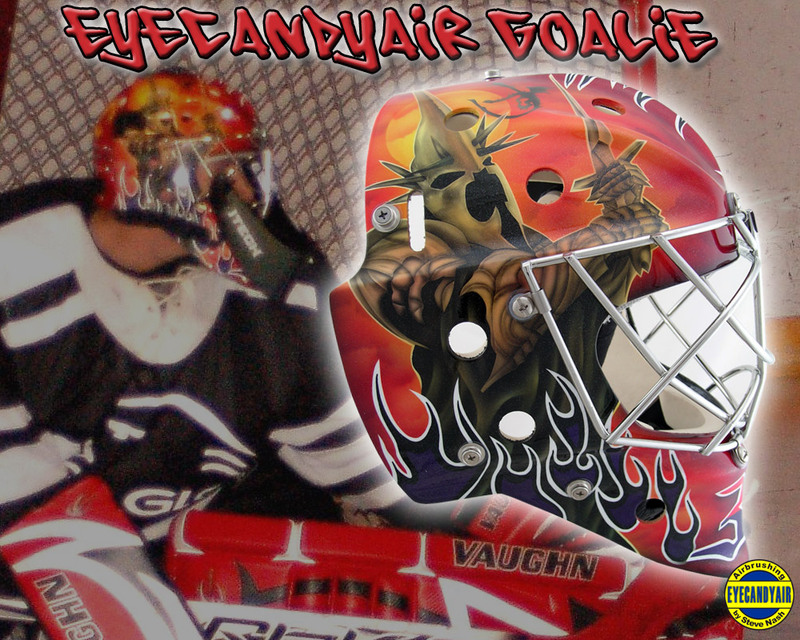 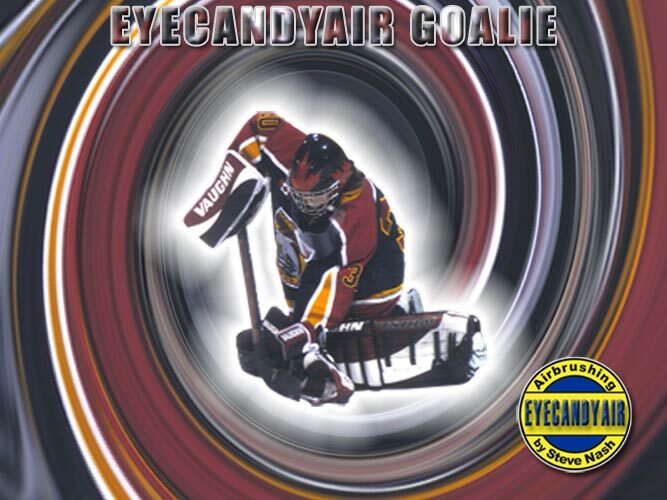 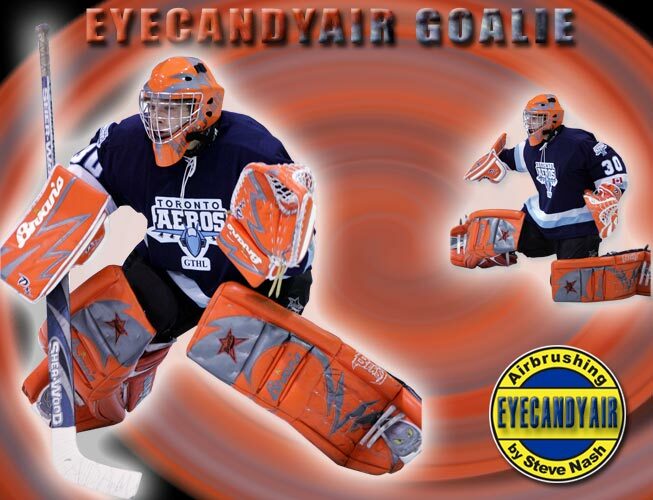 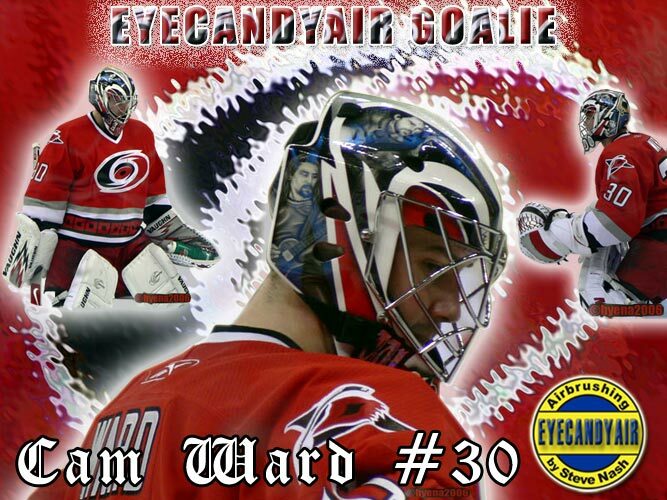 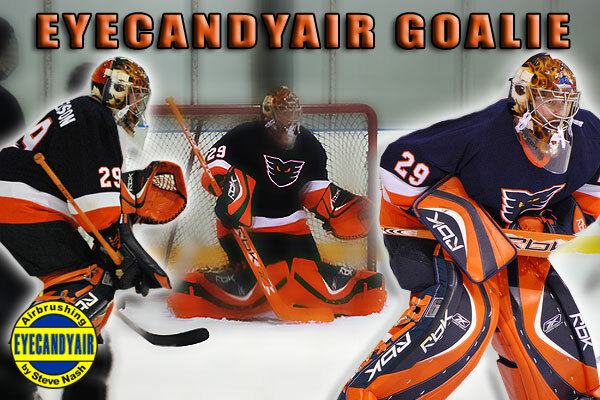 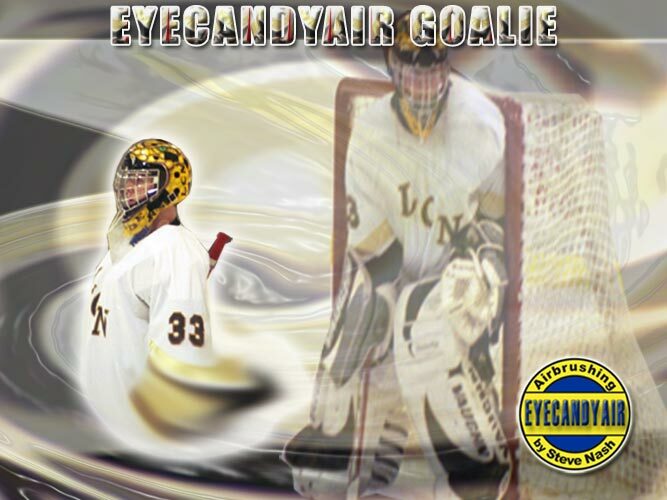 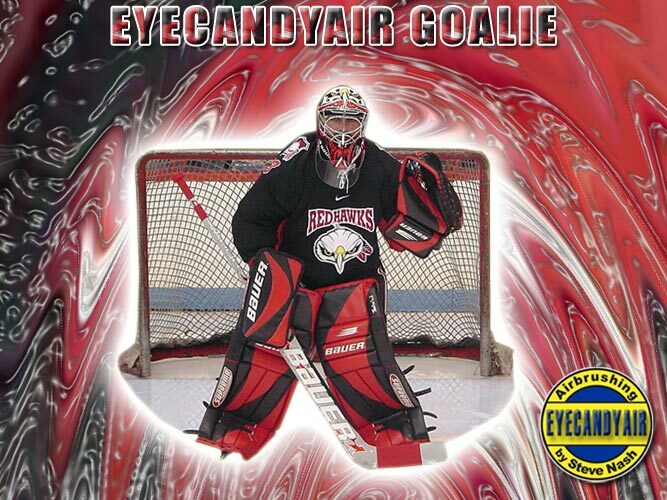 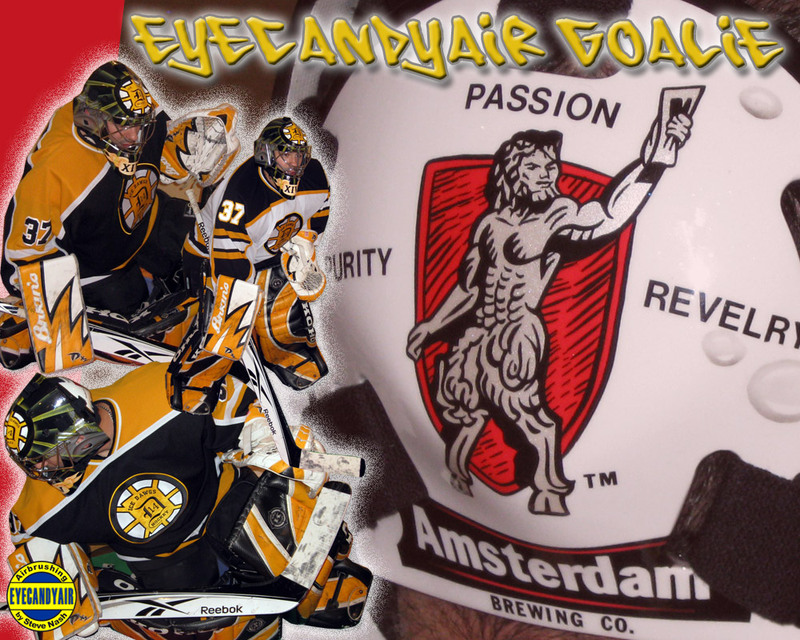 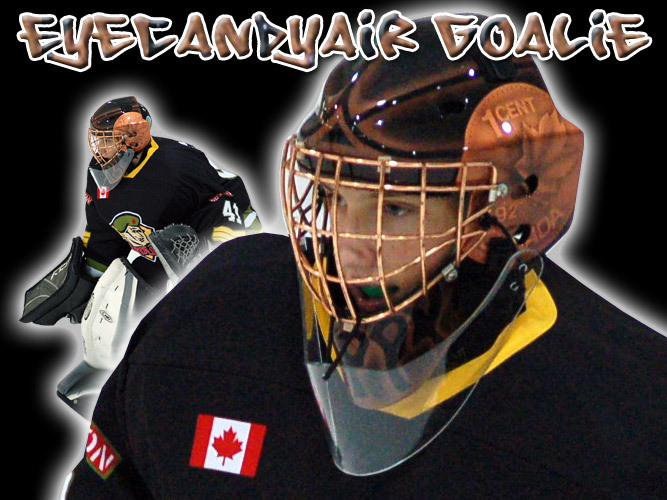 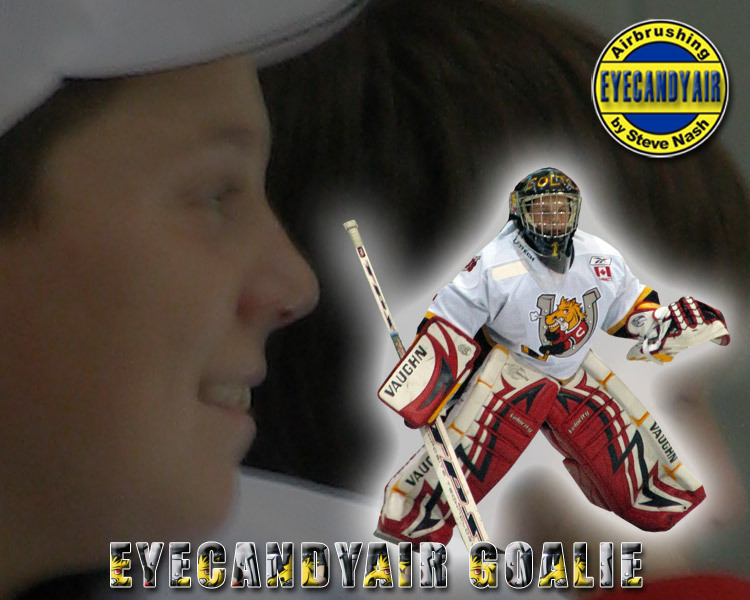 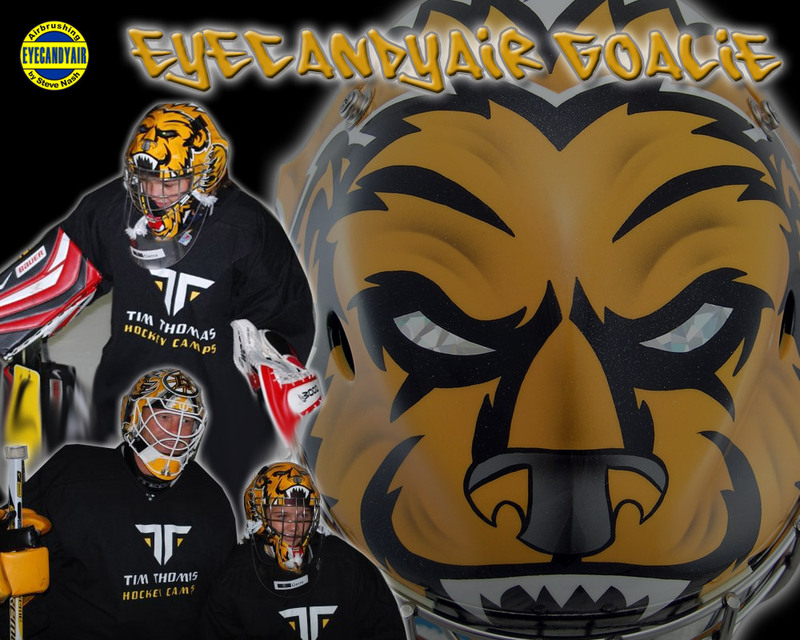 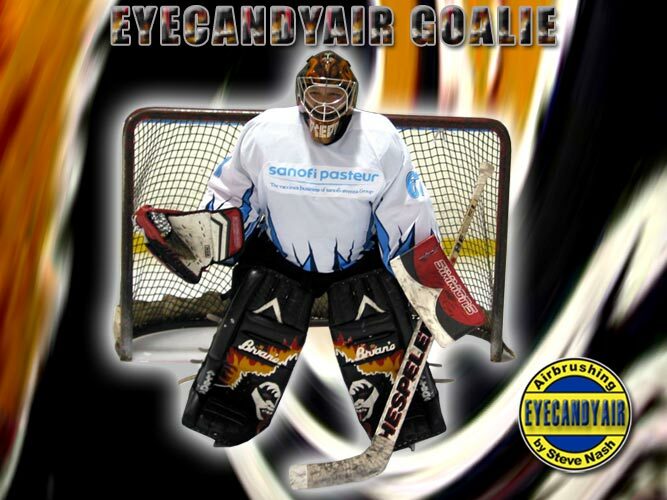 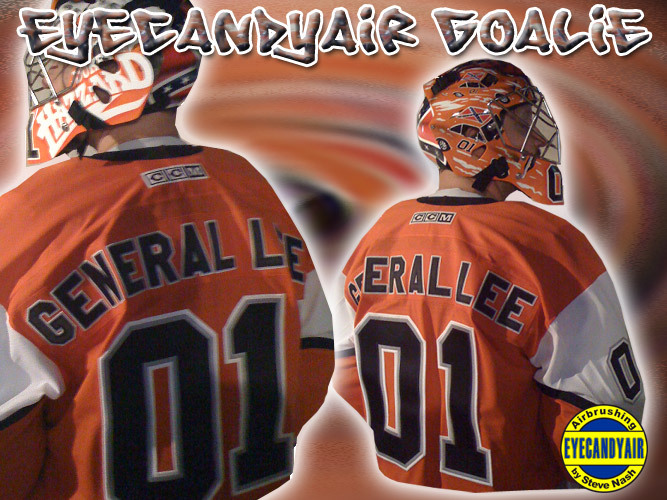 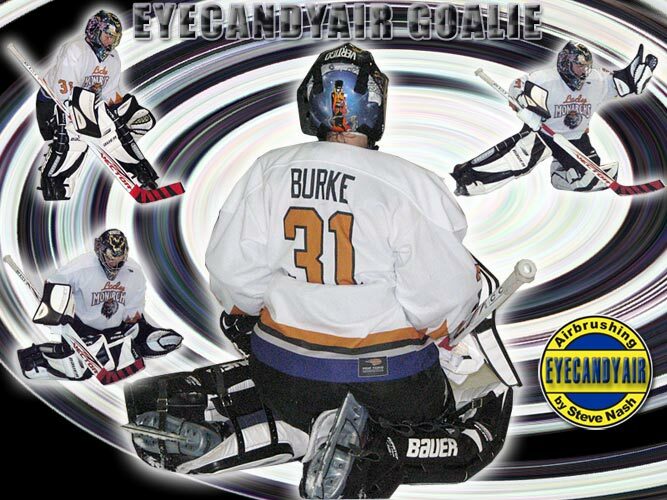 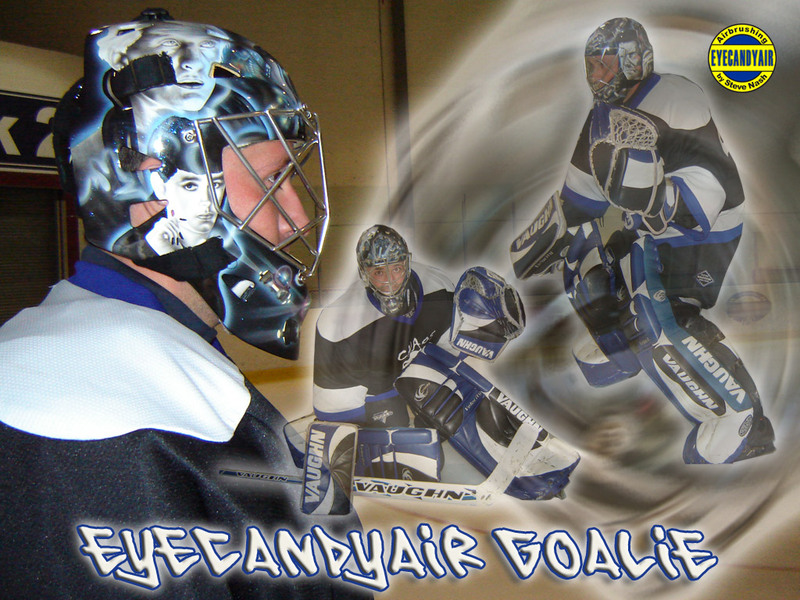 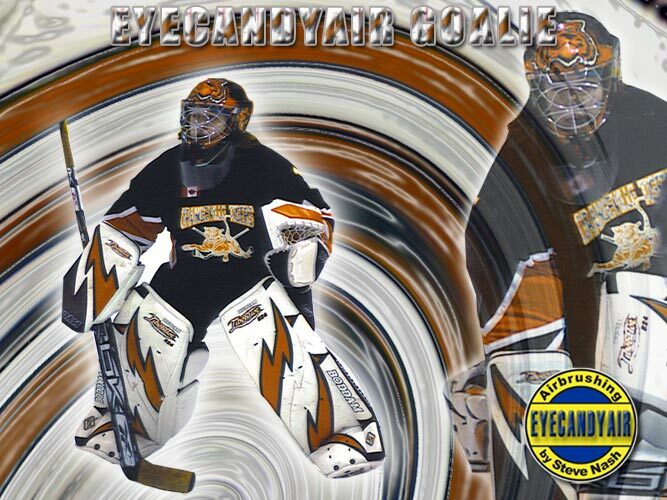 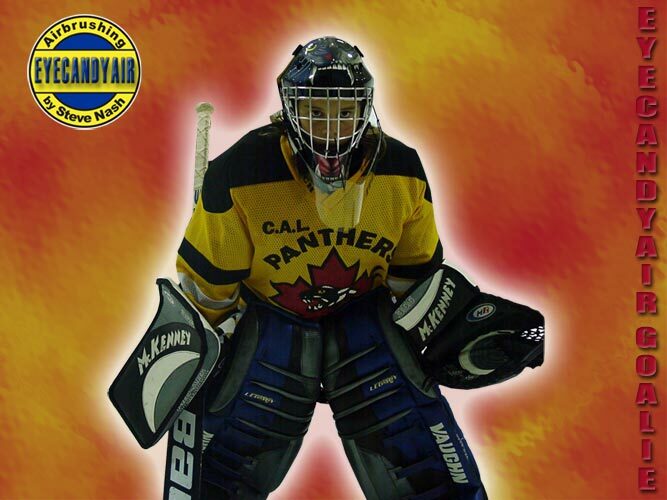 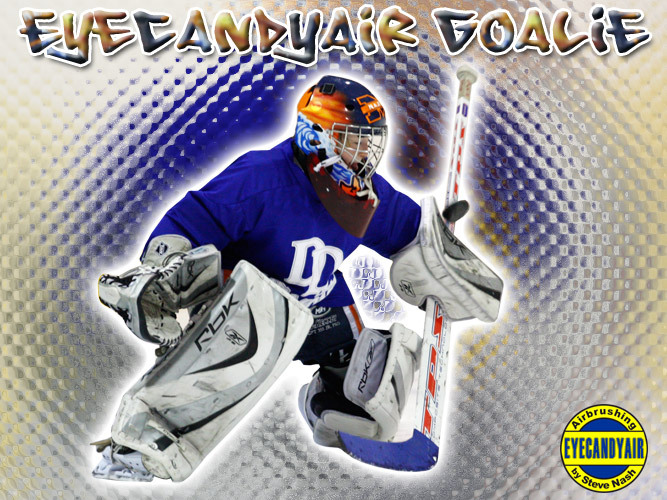 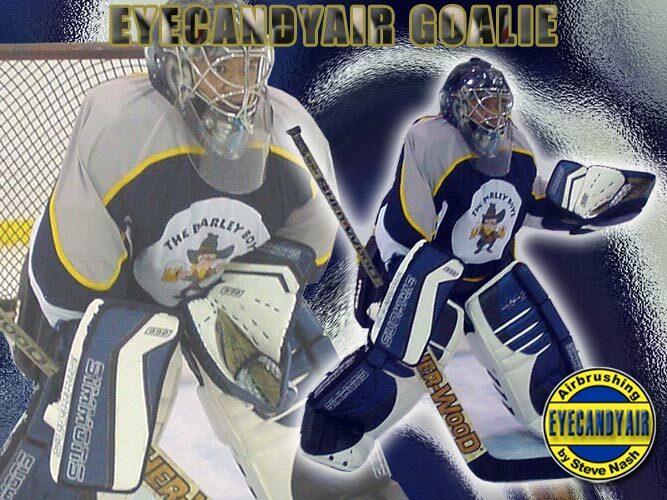 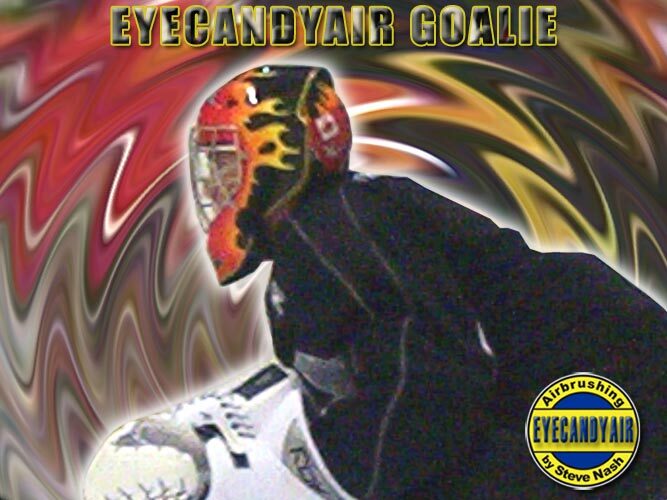 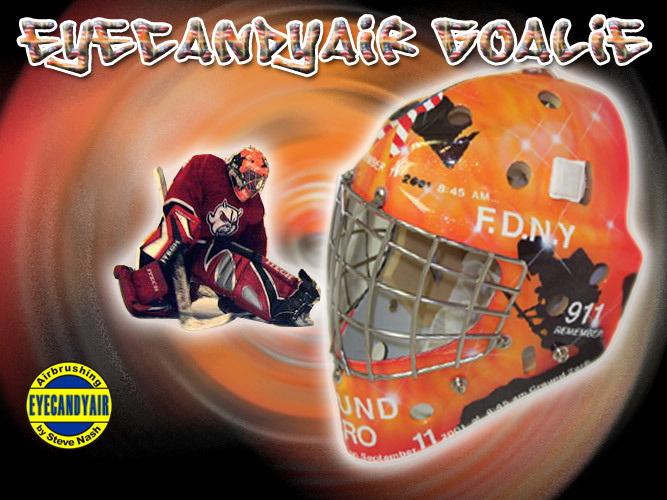 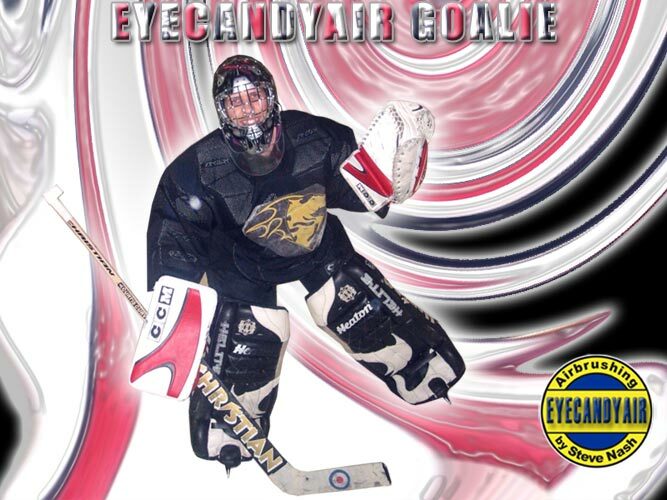 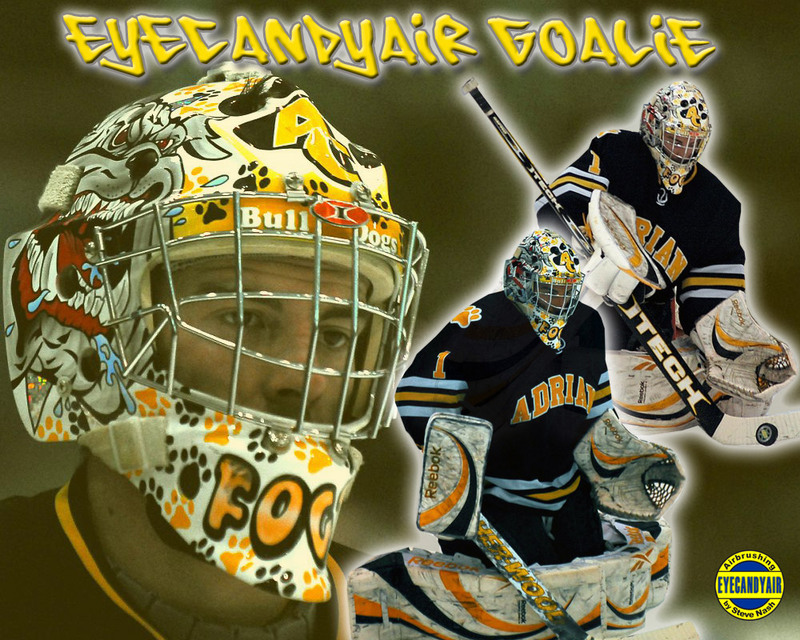 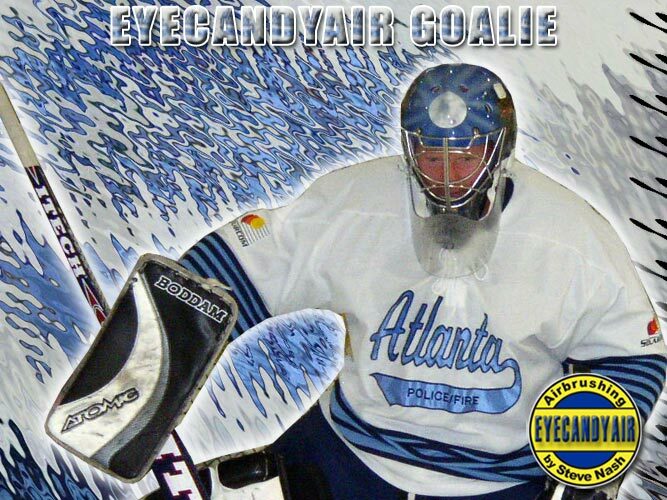 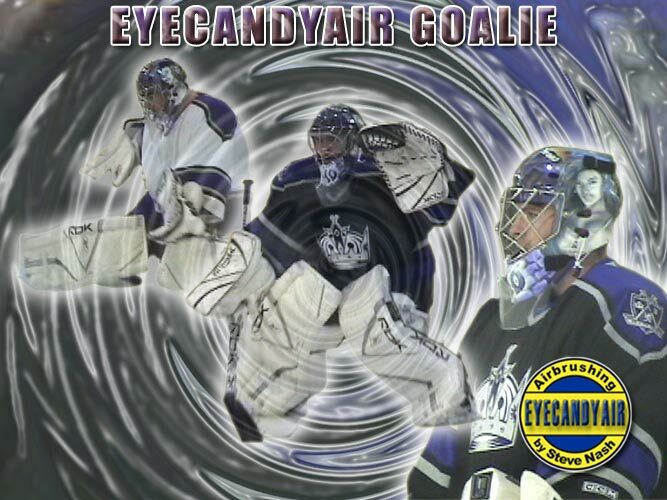 ATTENTION EYECANDYAIR GOALIES: We are now acepting your accepting your action videos!! 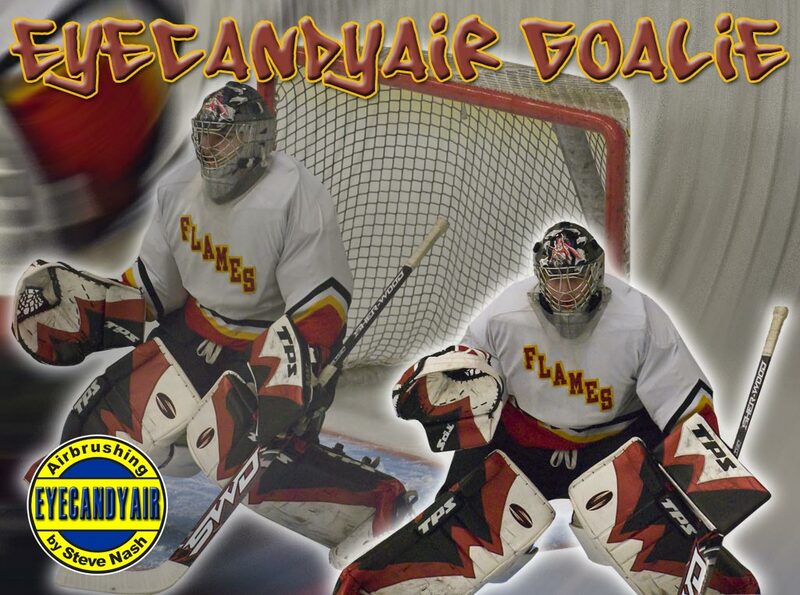 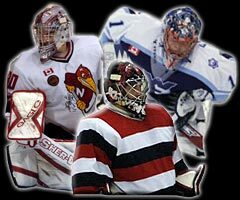 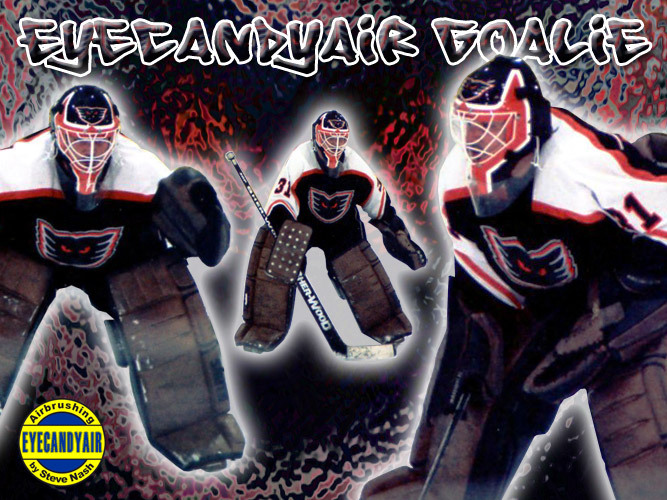 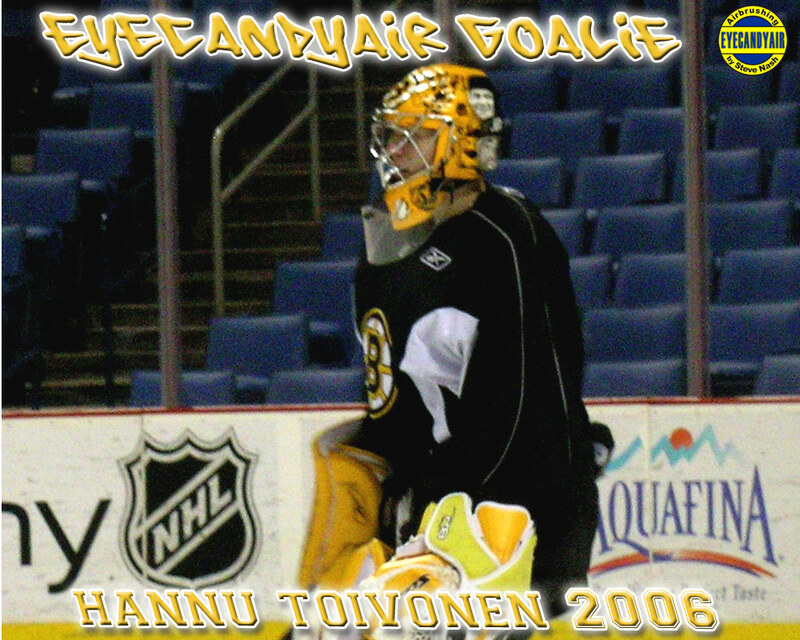 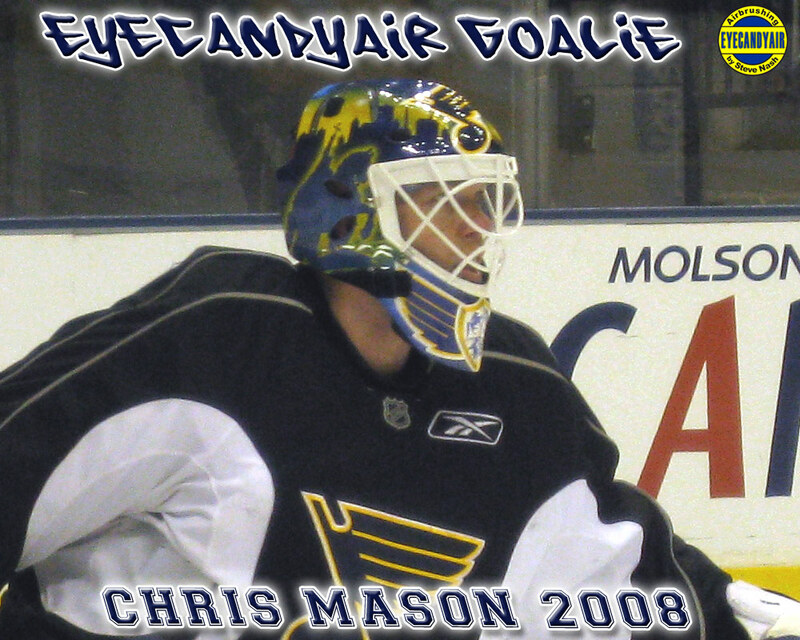 Please send us your live footage so we can put it up on the site for other goalies to enjoy.